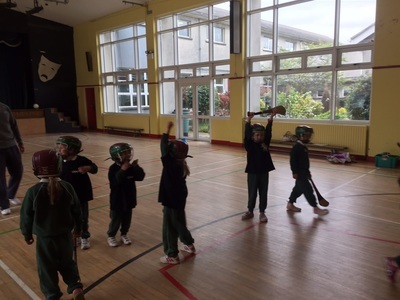 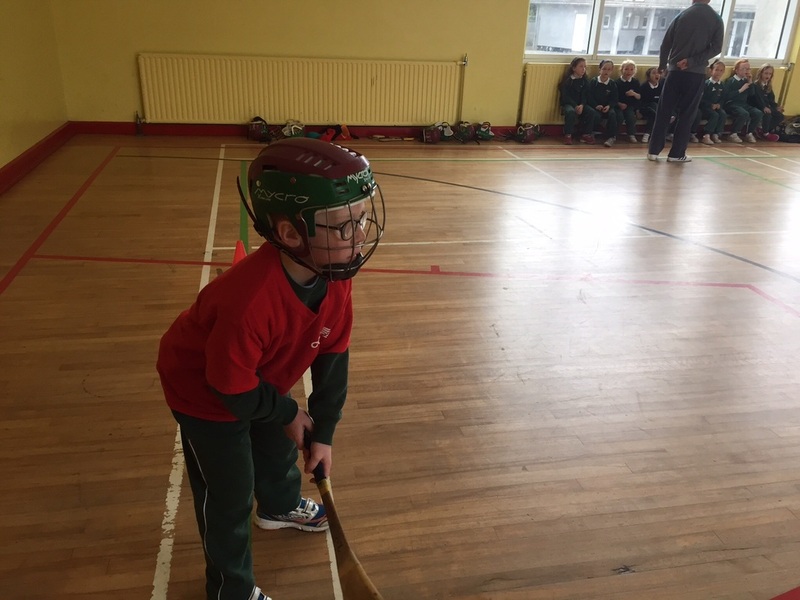 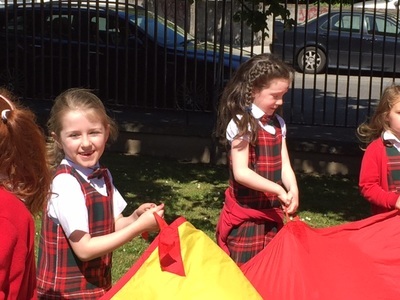 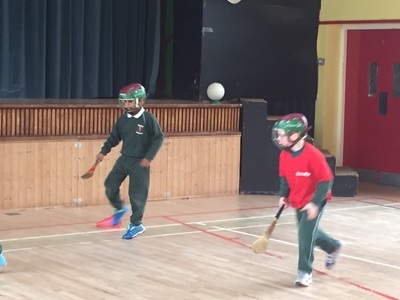 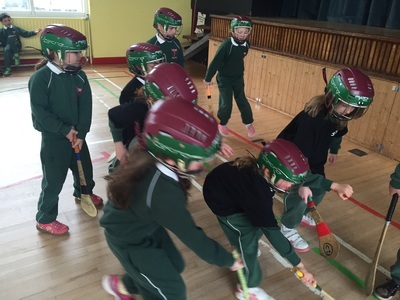 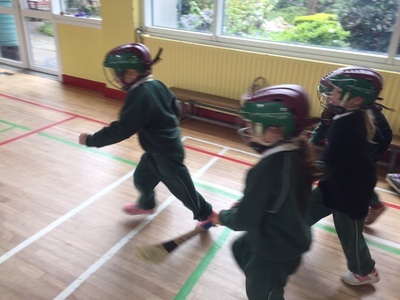 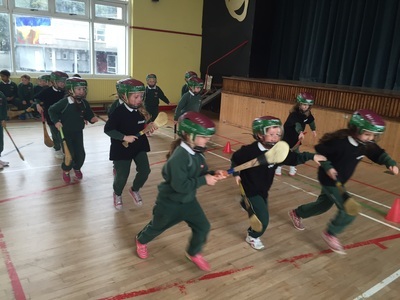 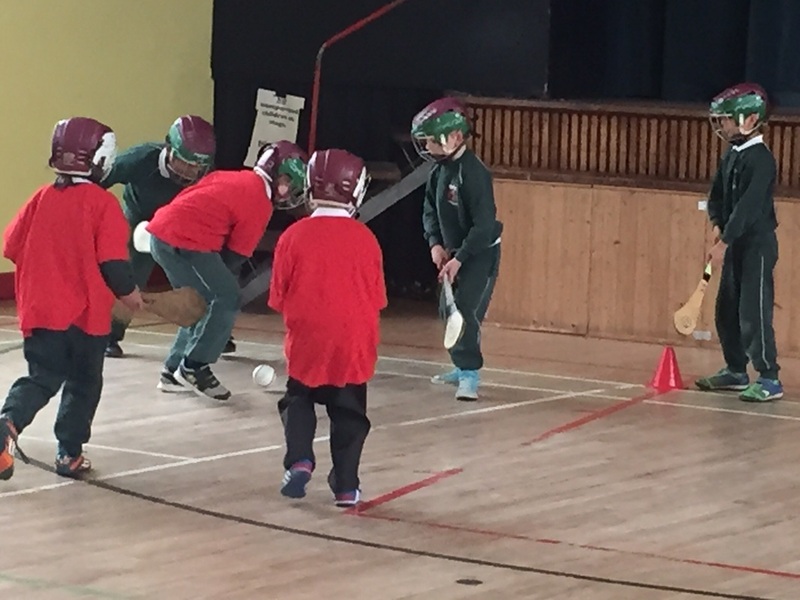 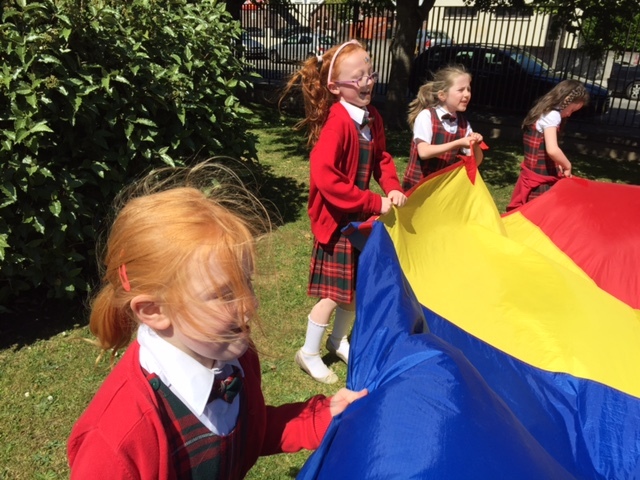 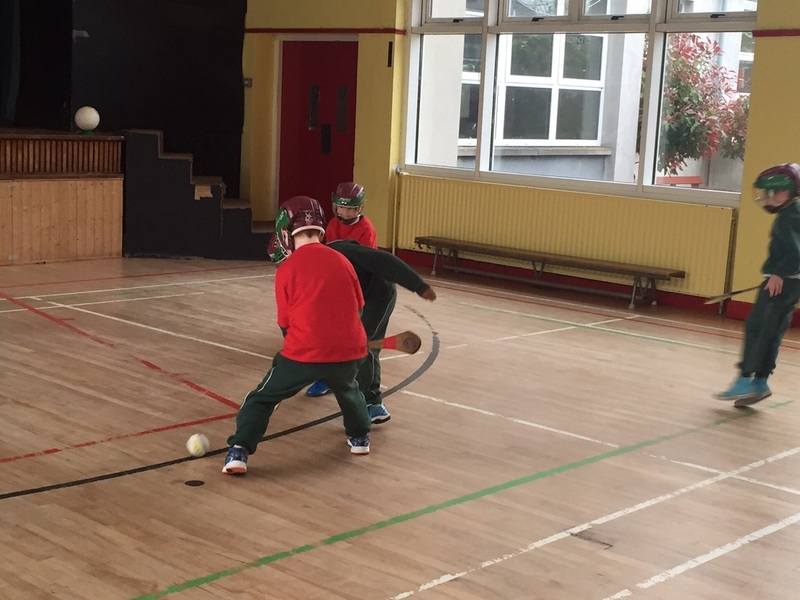 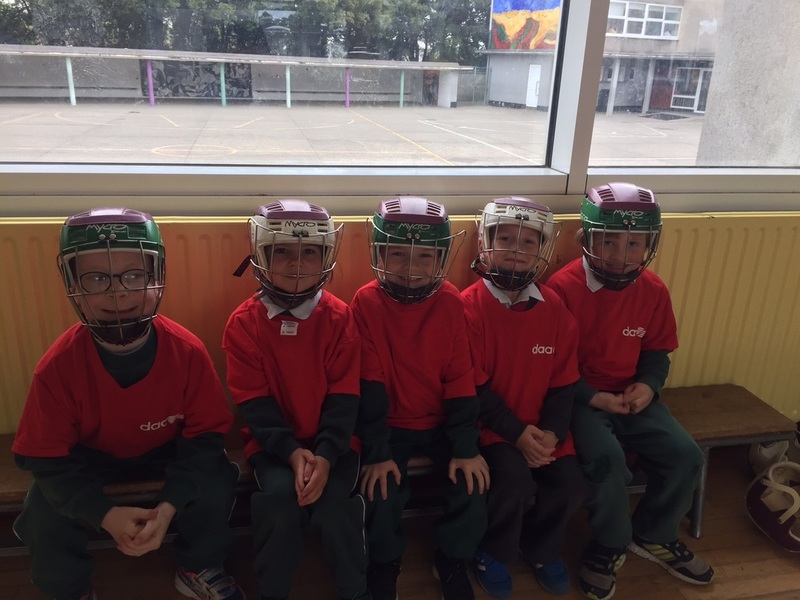 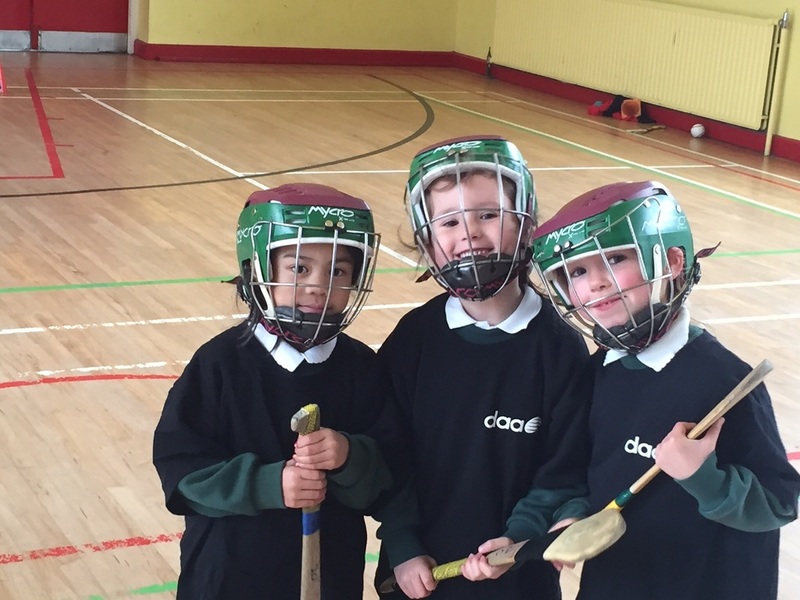 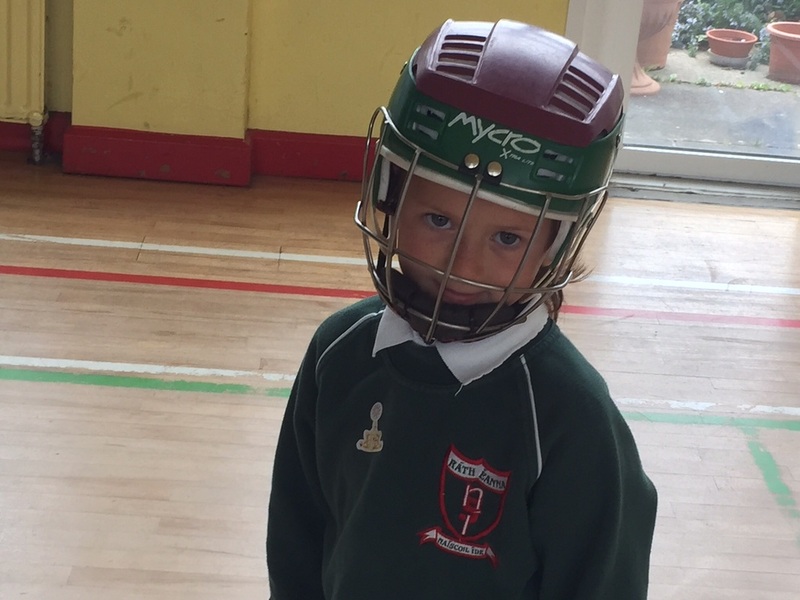 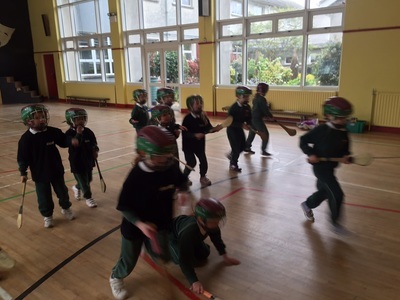 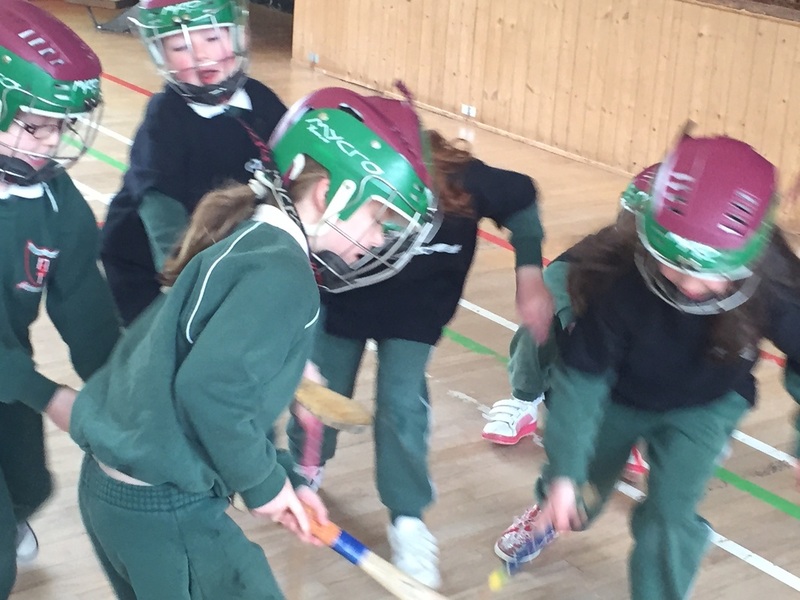 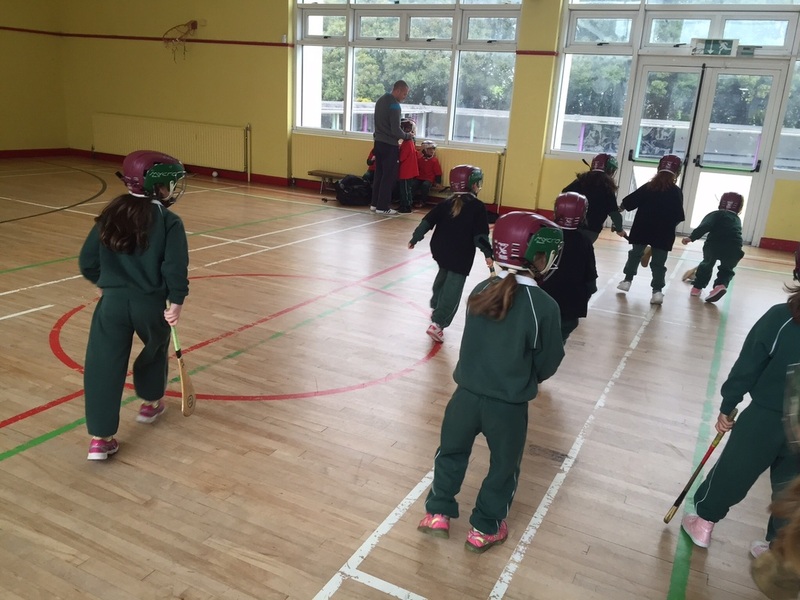 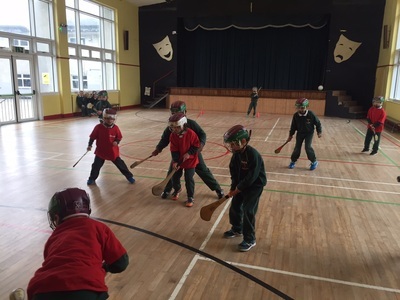 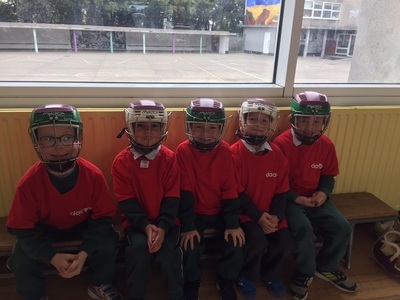 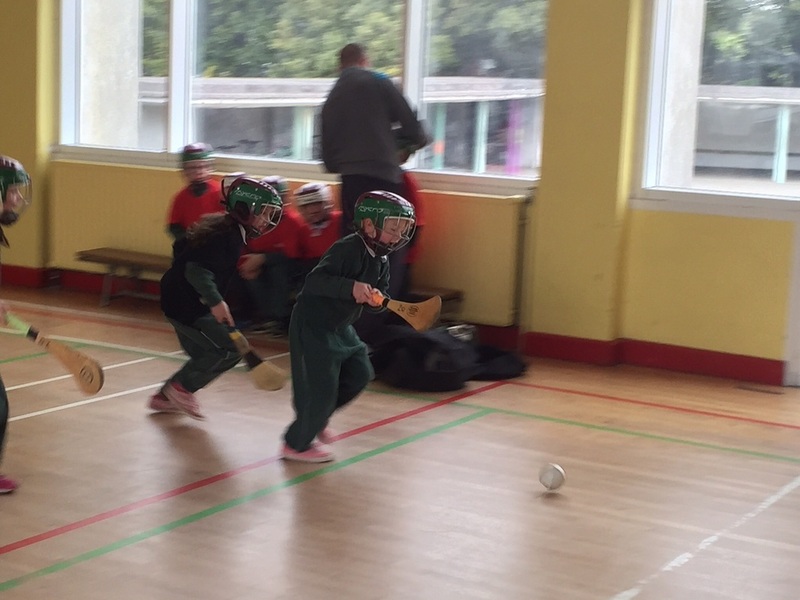 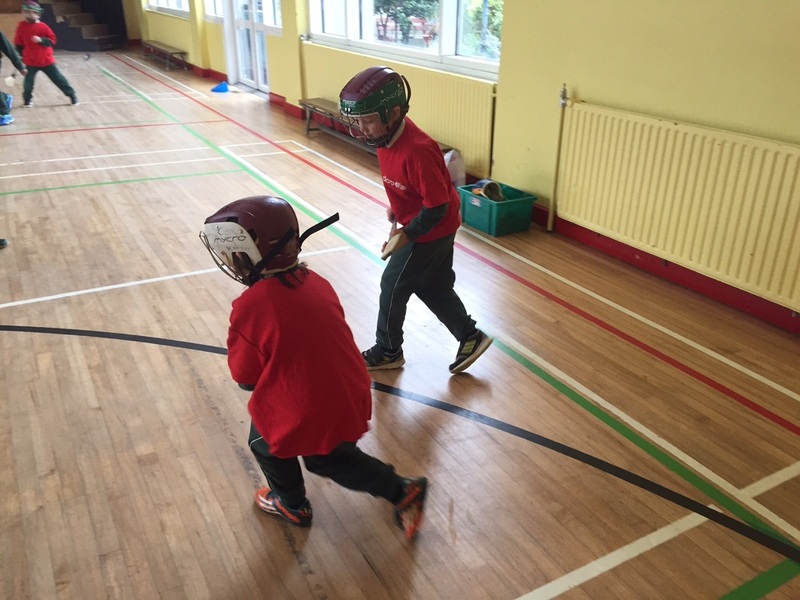 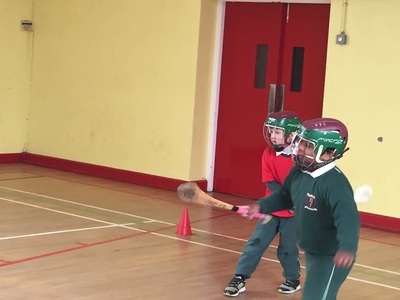 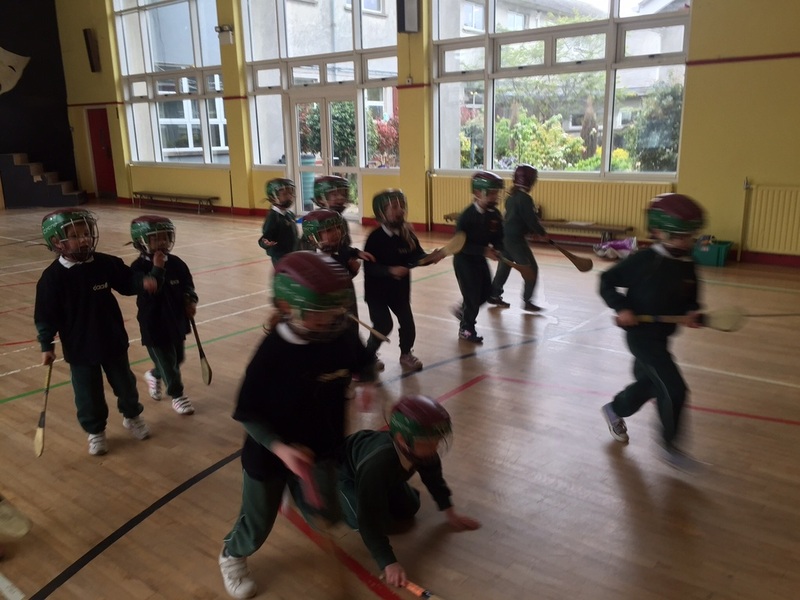 We were thrilled to get an introduction to hurling with Dublin's Dotsy O'Callaghan. 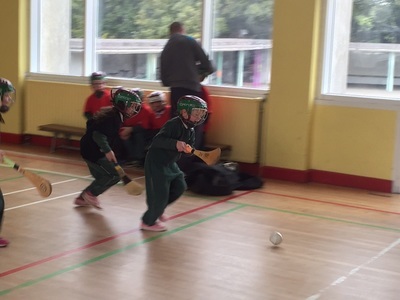 The pace was fast and furious! 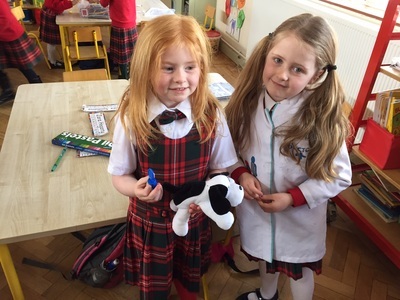 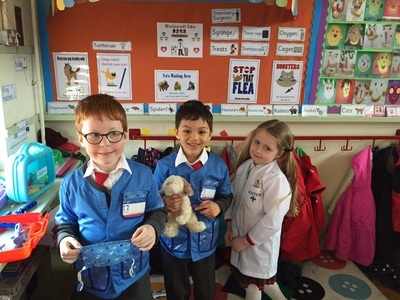 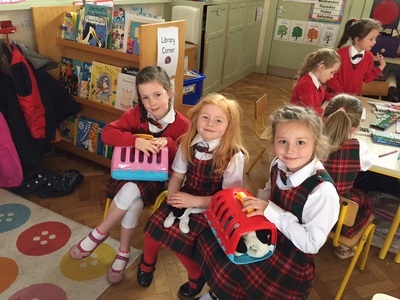 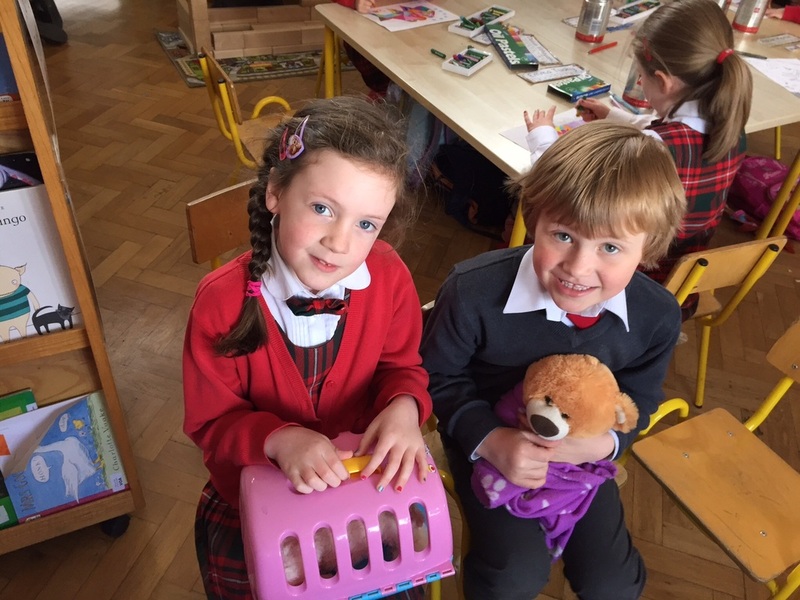 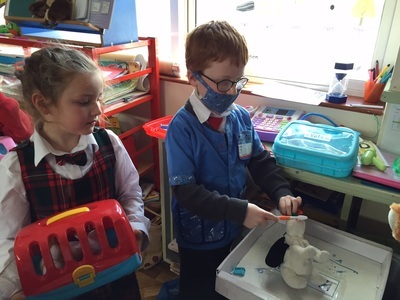 Our role play theme for April was a Vet's Surgery. 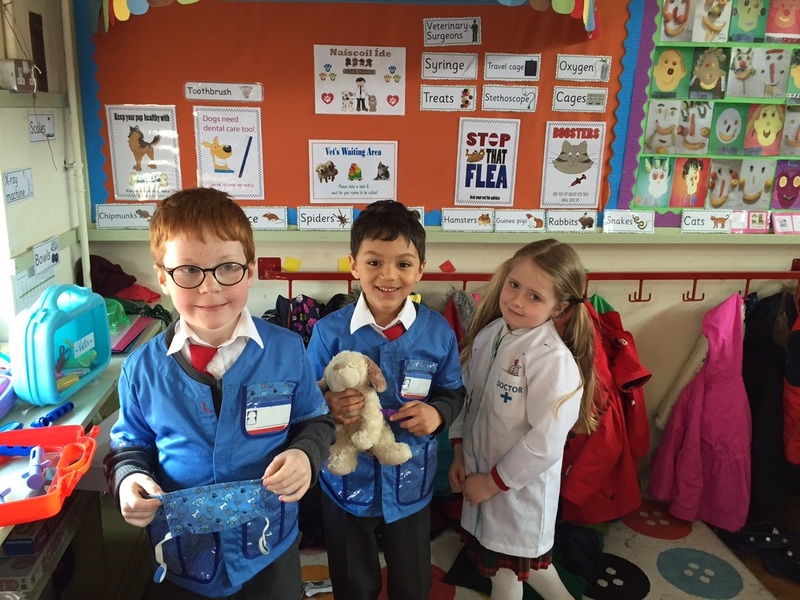 We cured all kinds of sick animals following thorough examinations and numerous injections! We have been learning all about different kinds of shops and were thrilled when Michael Rooney called in to tell us all about life as a baker. 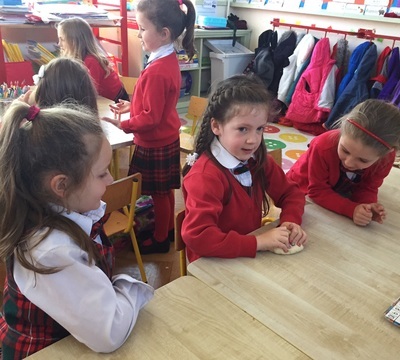 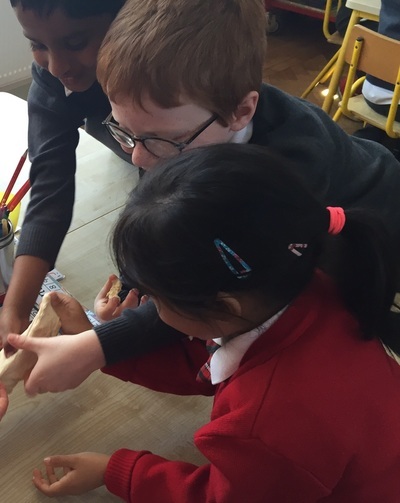 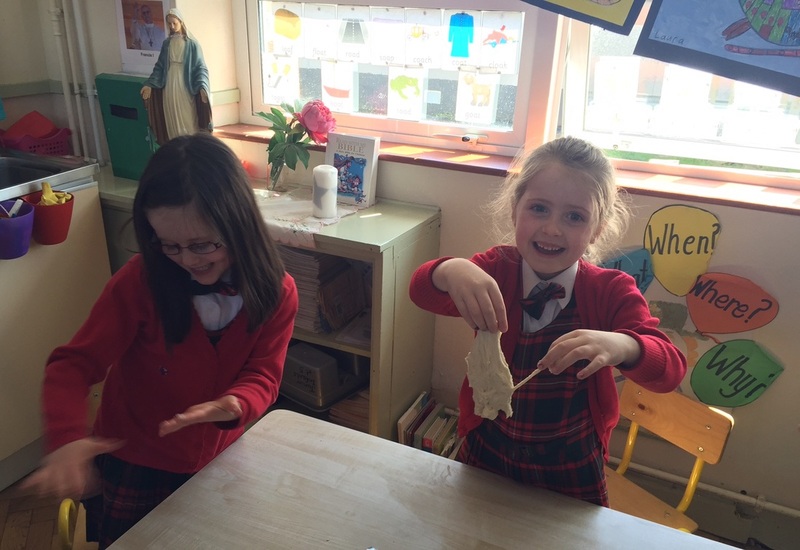 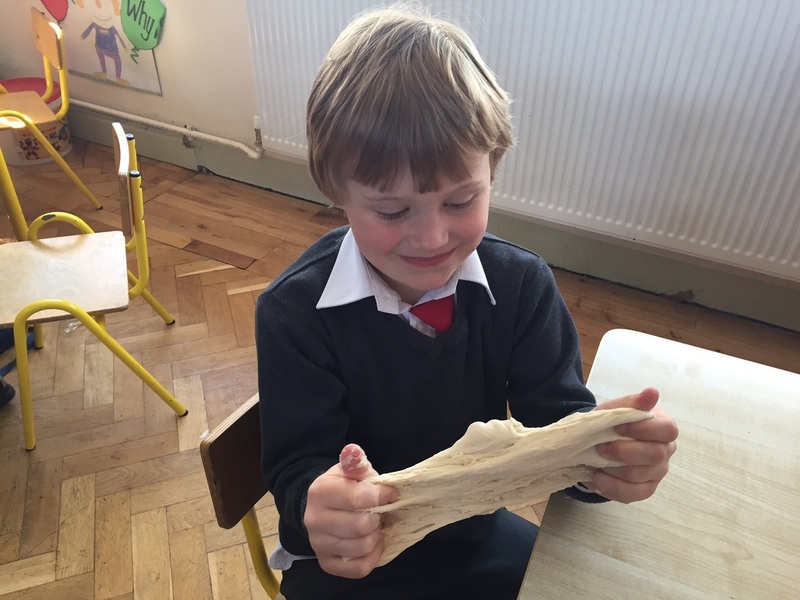 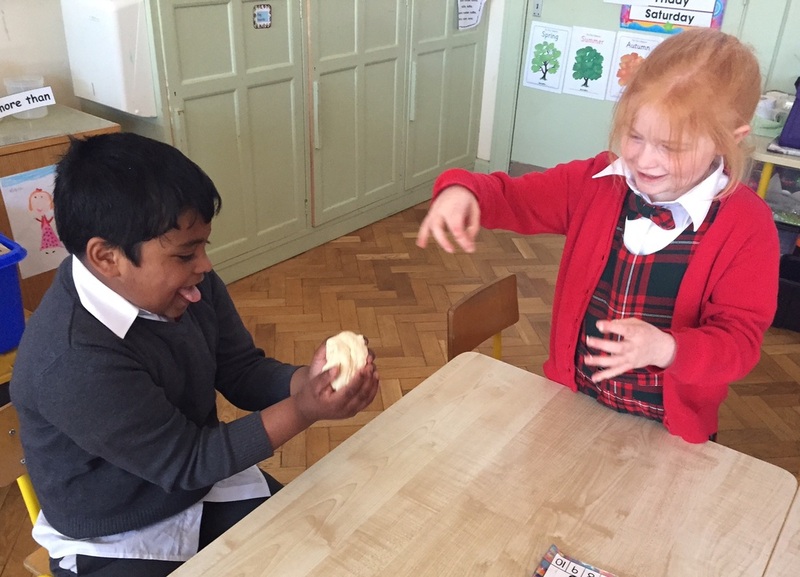 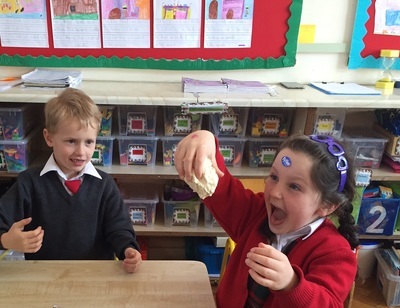 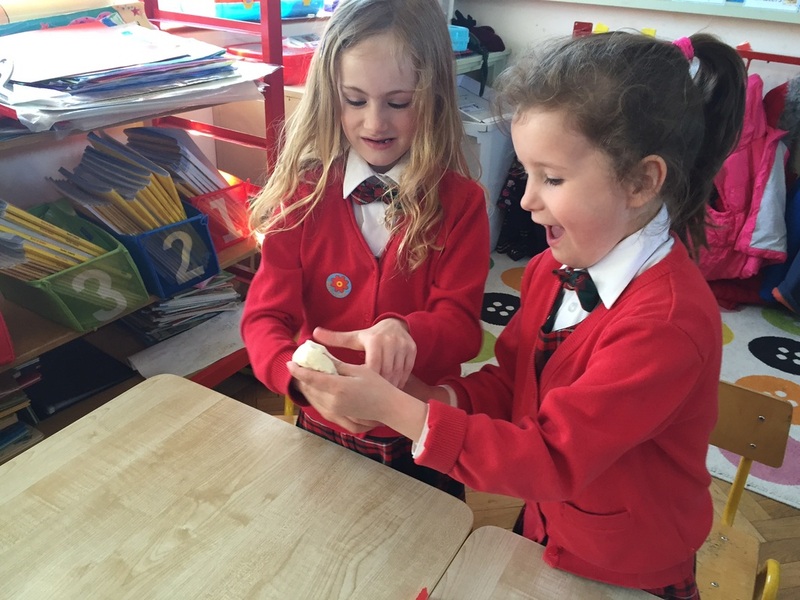 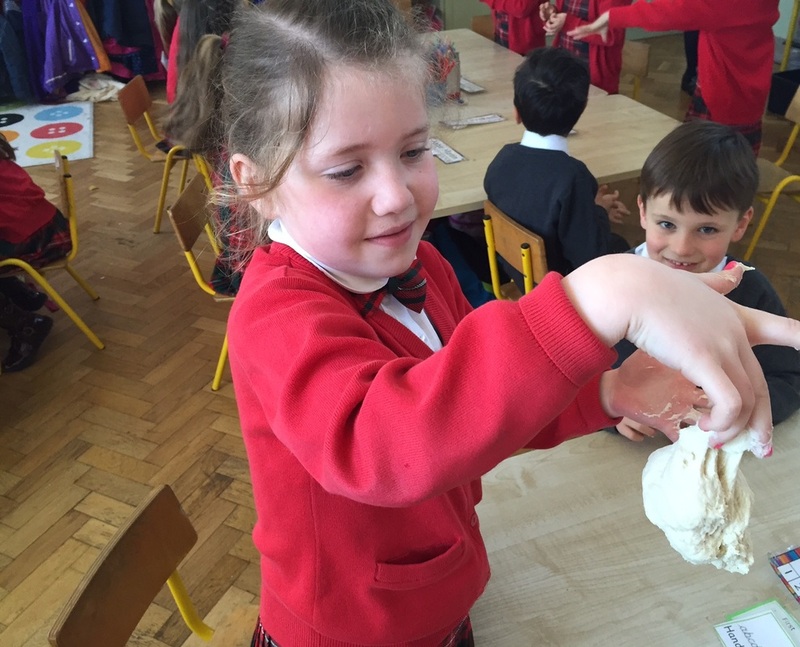 We heard about the different stages in bread-making and really enjoyed getting to handle wheat, flour, yeast and sticky dough! 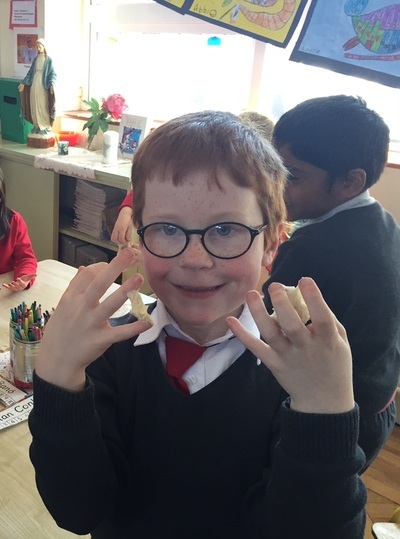 Michael patiently answered all of our questions and gave us a goodie bag filled with delicious muffins and cookies to bring home and share with our families. 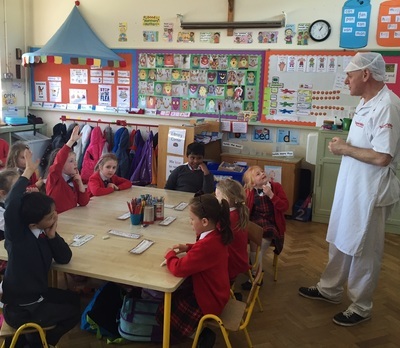 A big thank you to Michael and Supervalu Sutton for a very enjoyable afternoon. 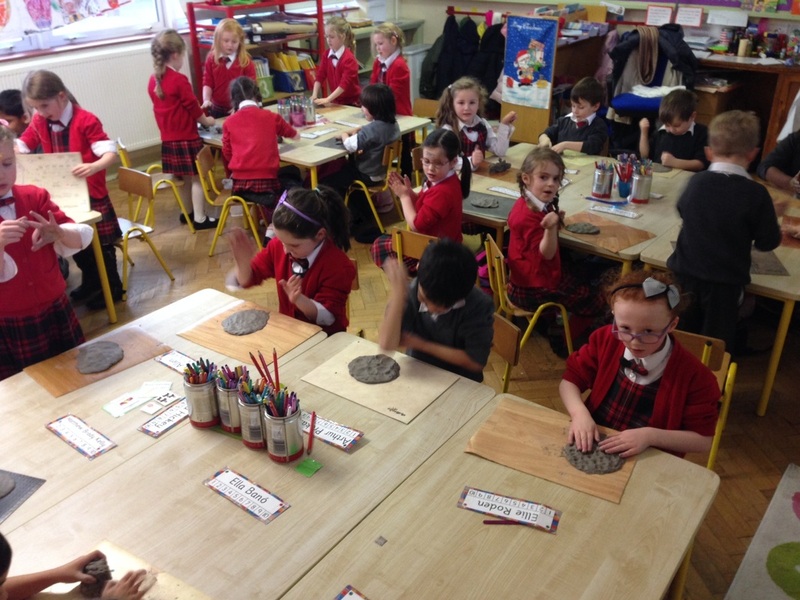 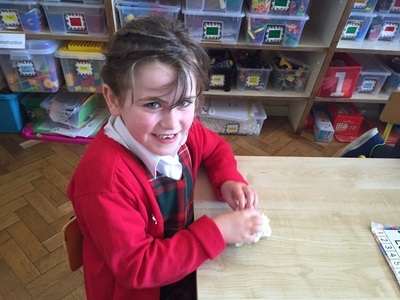 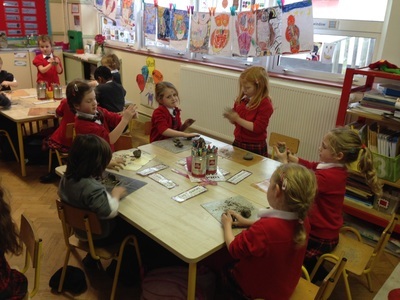 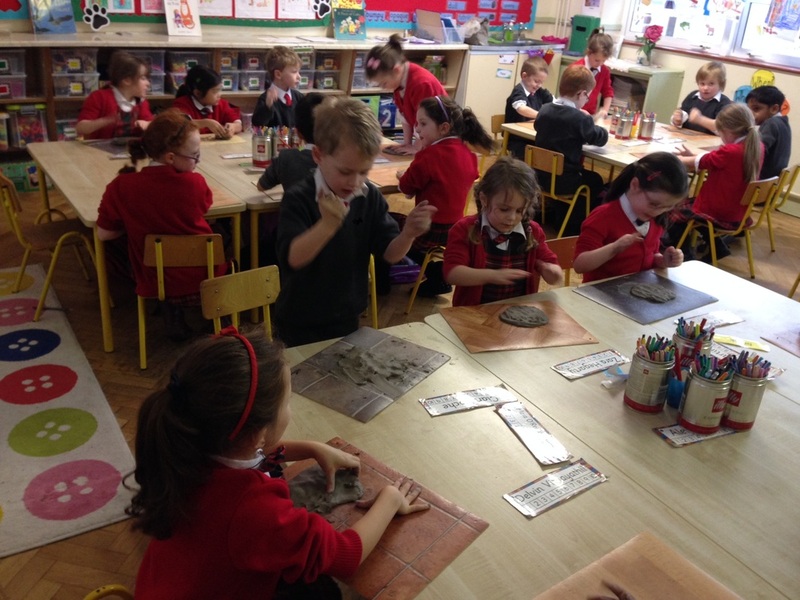 We love being creative with clay! 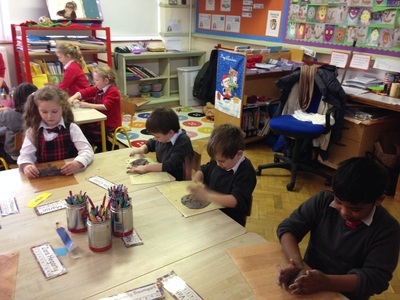 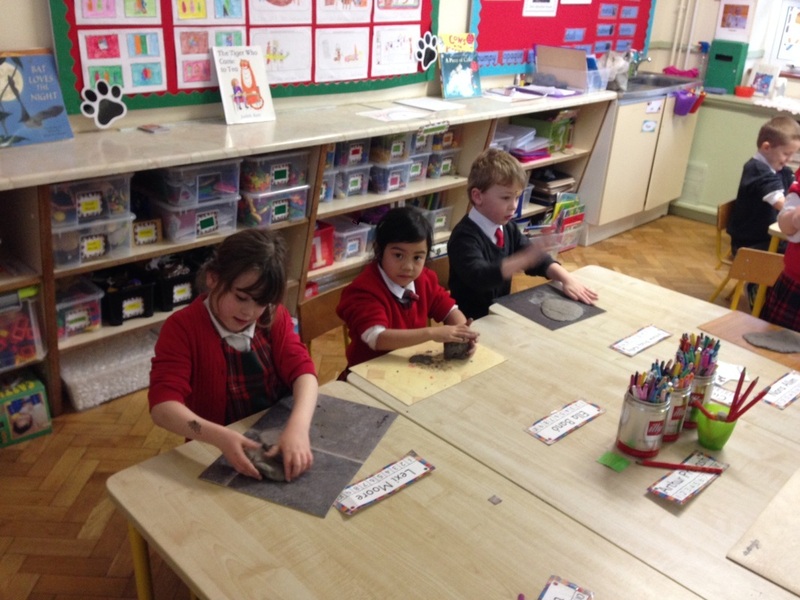 It's hard work pounding, pushing, rolling, pulling & squashing the clay until we discover what lies within! 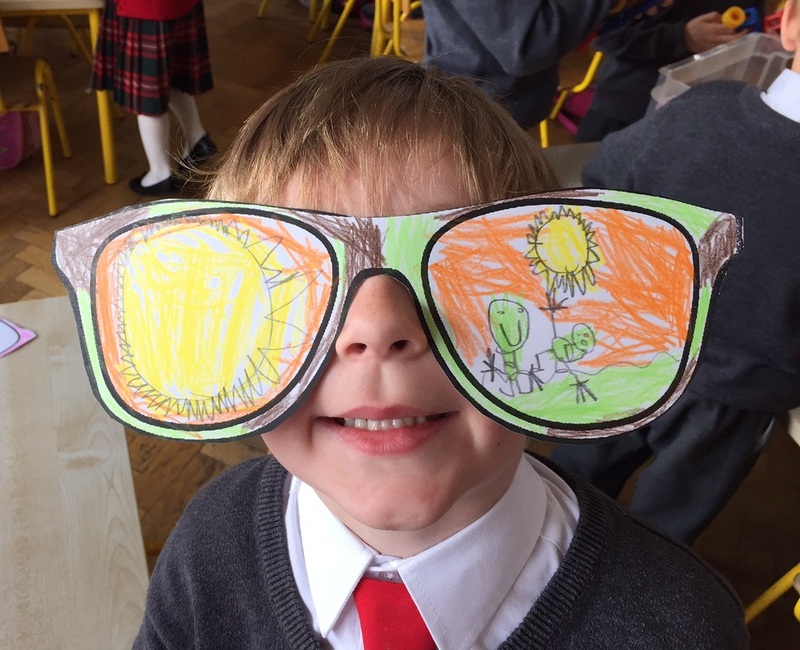 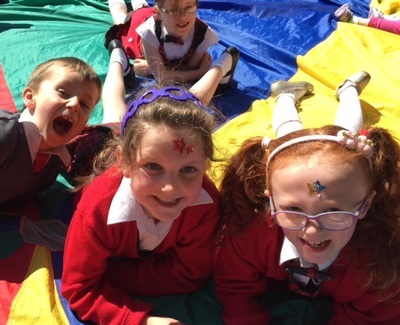 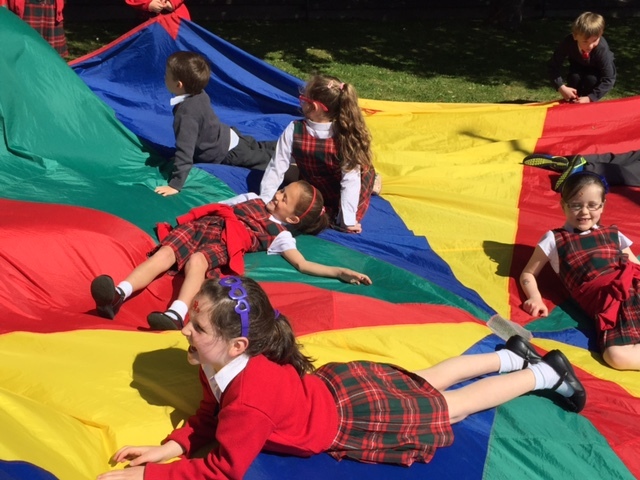 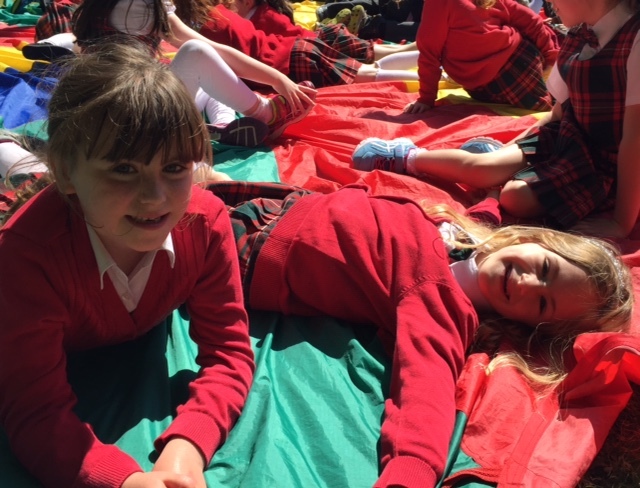 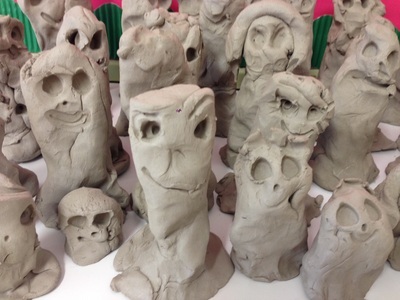 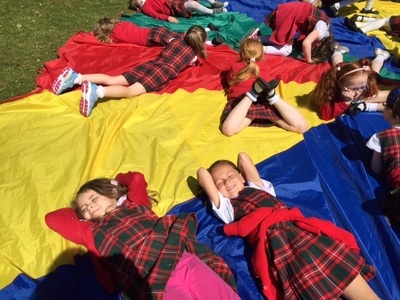 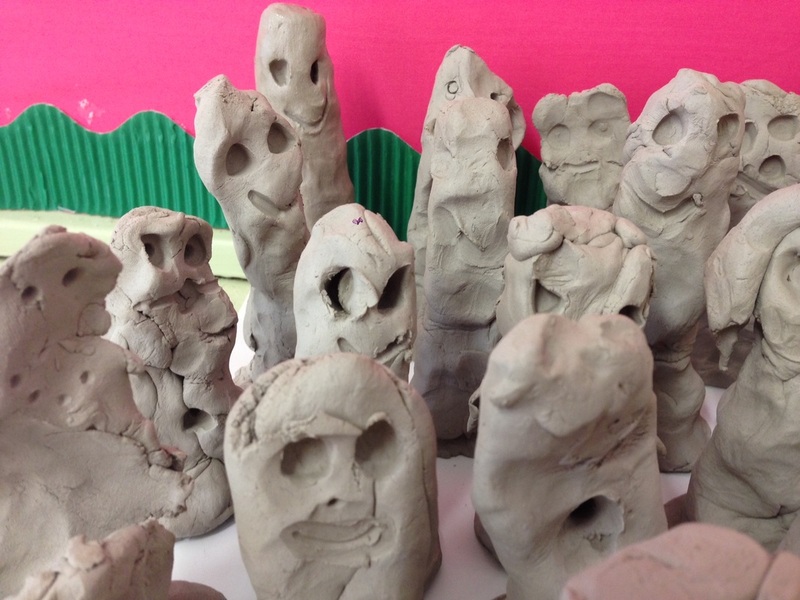 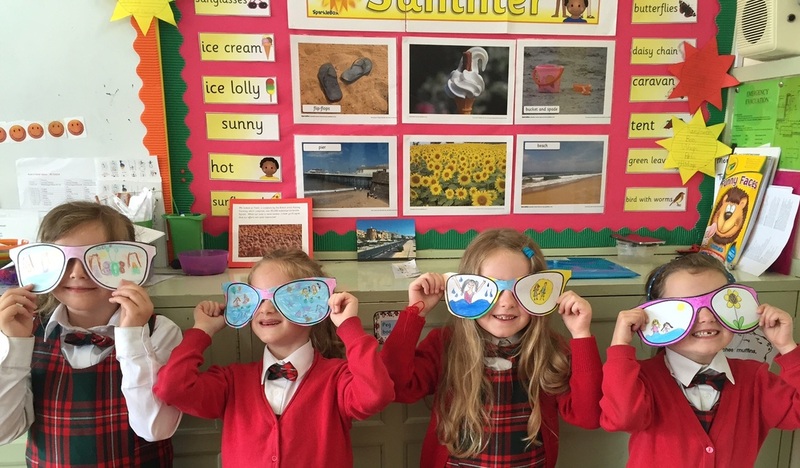 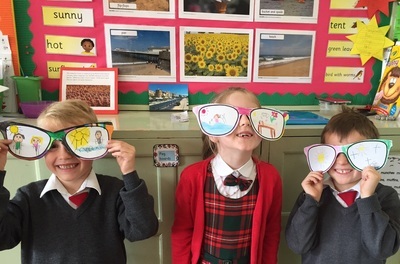 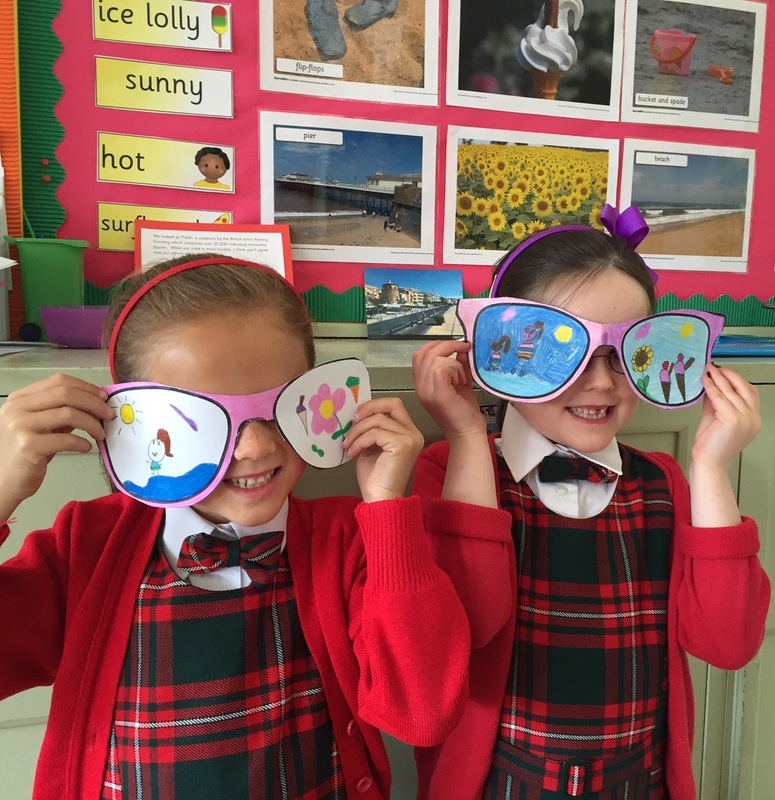 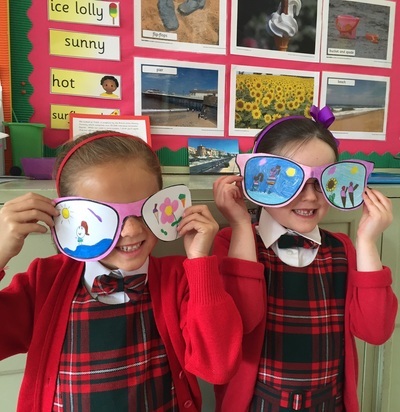 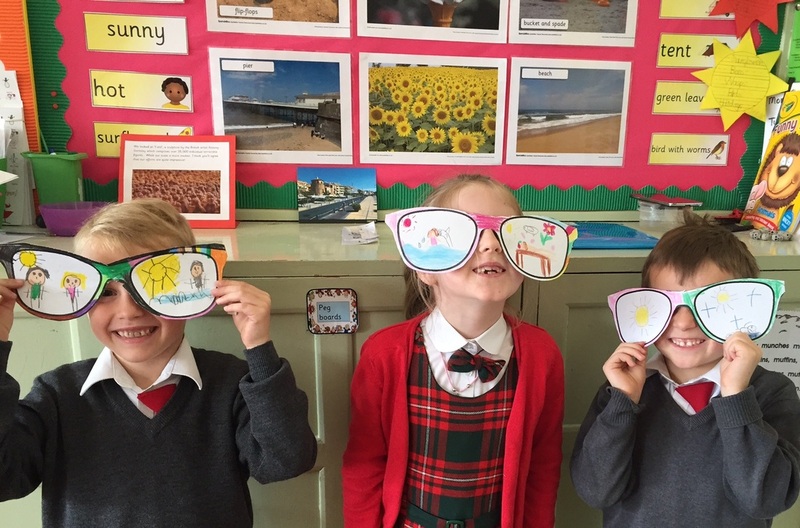 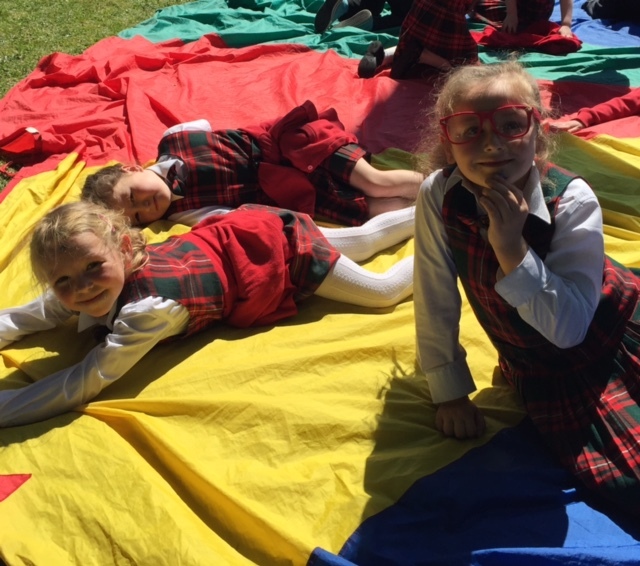 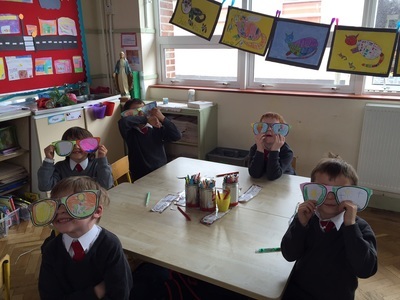 We hope you like our 'minions' and 'meerkats' which were inspired by Antony Gormley's award-winning sculpture called 'Field'. 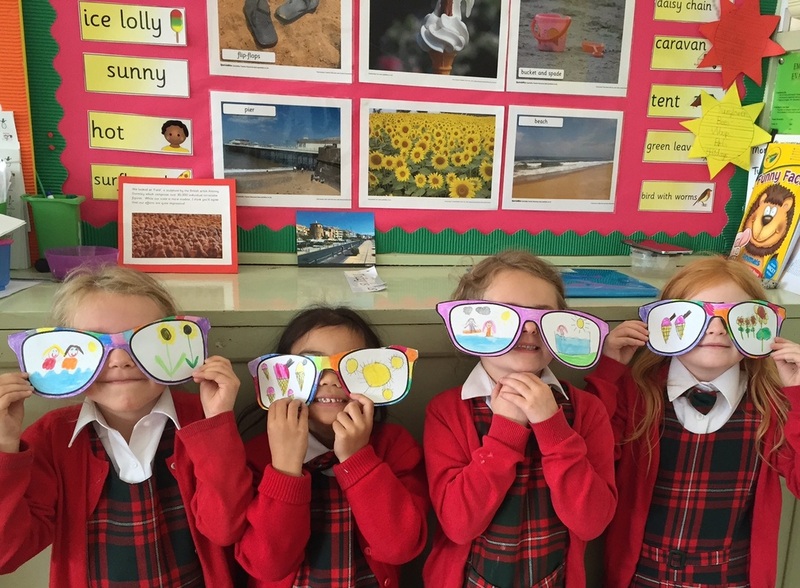 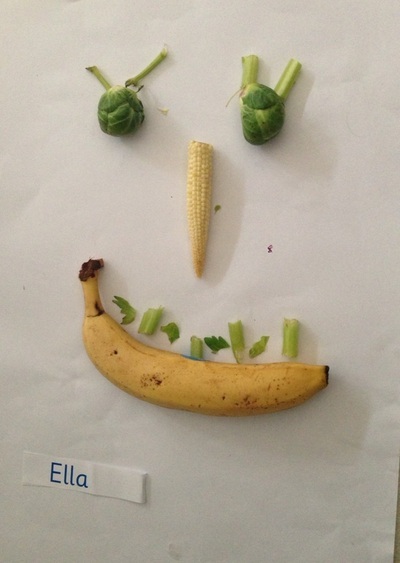 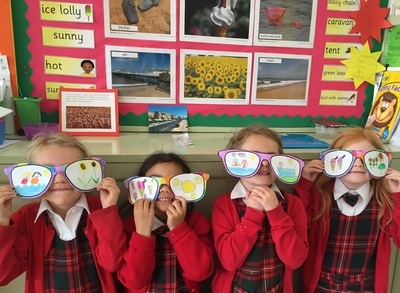 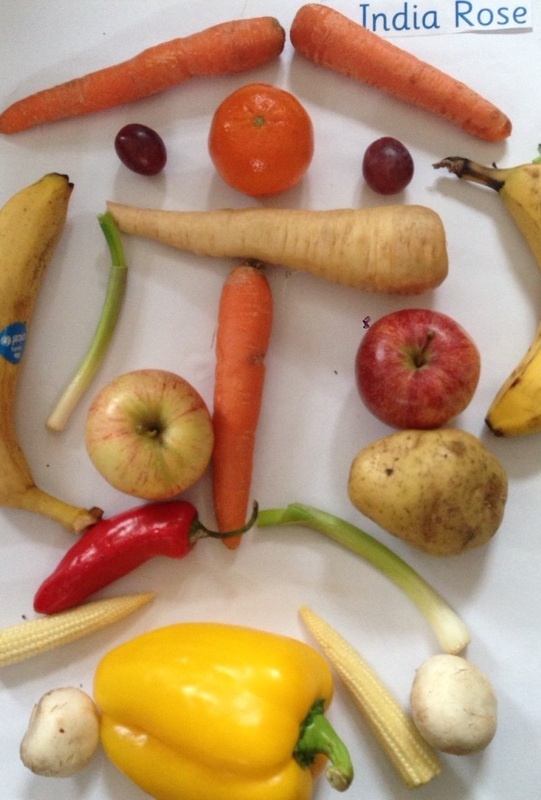 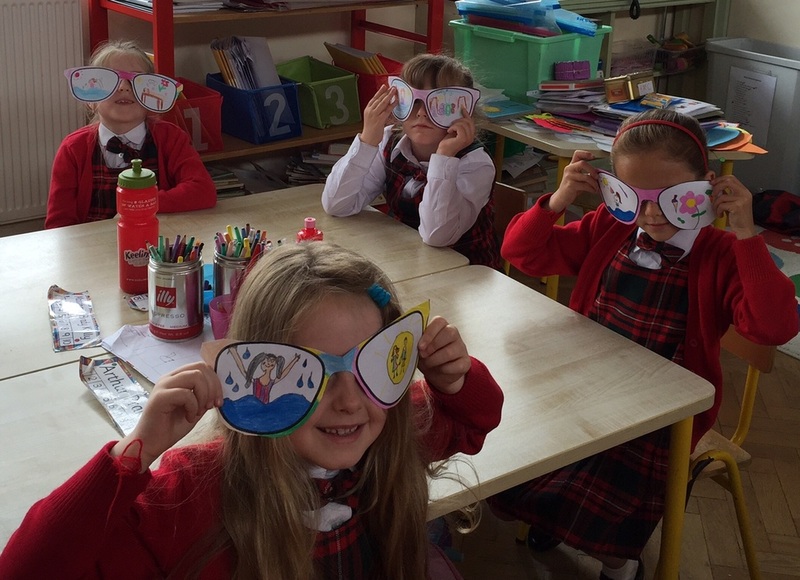 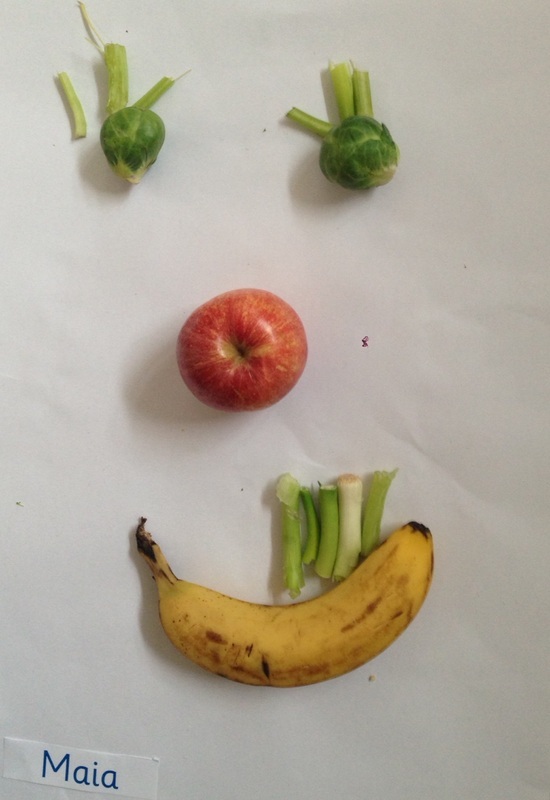 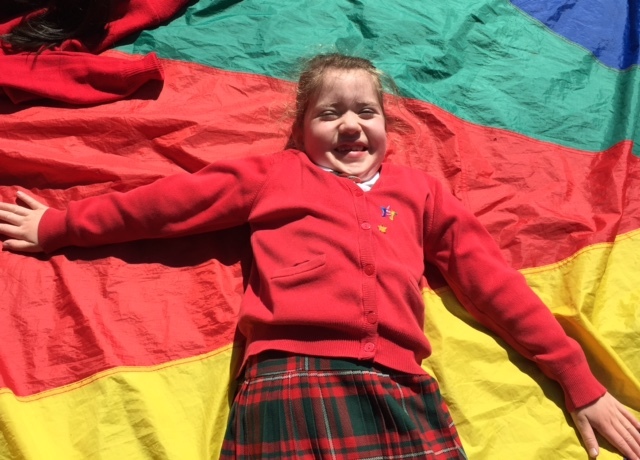 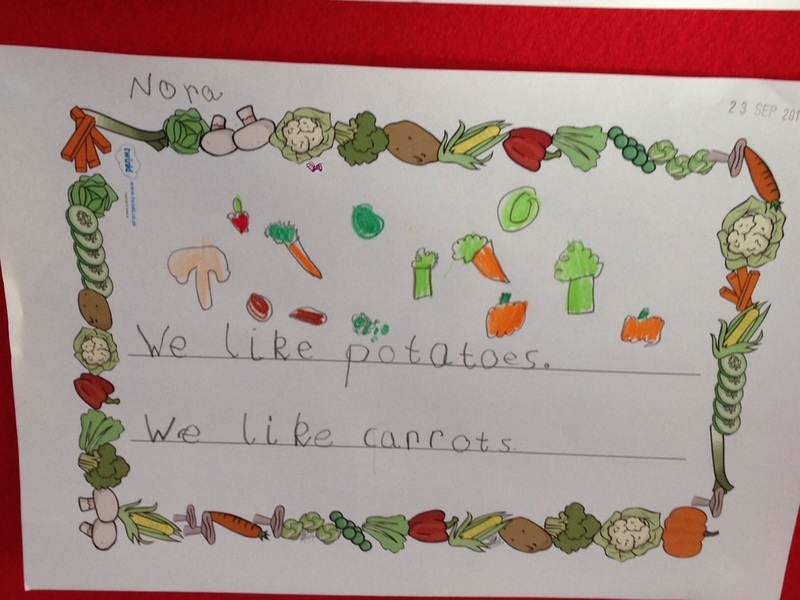 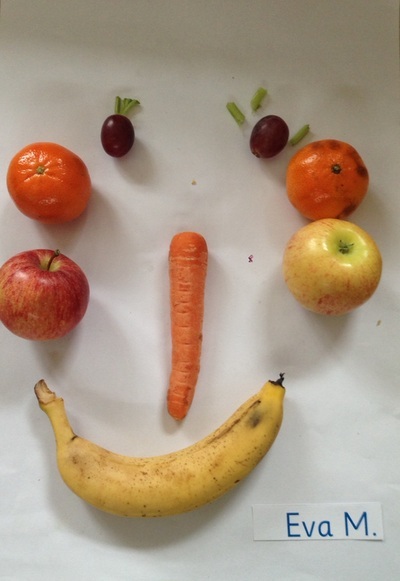 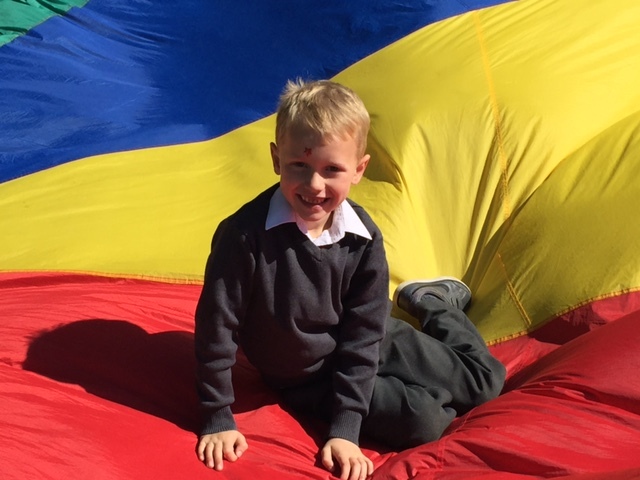 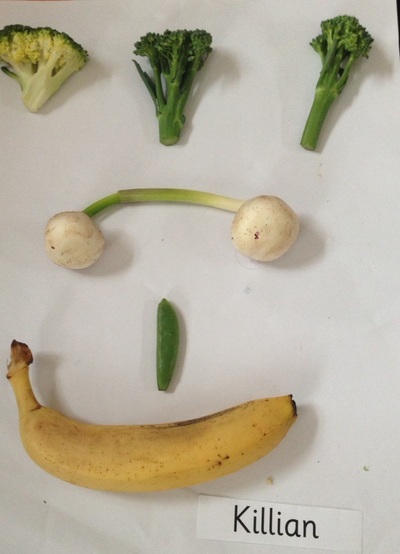 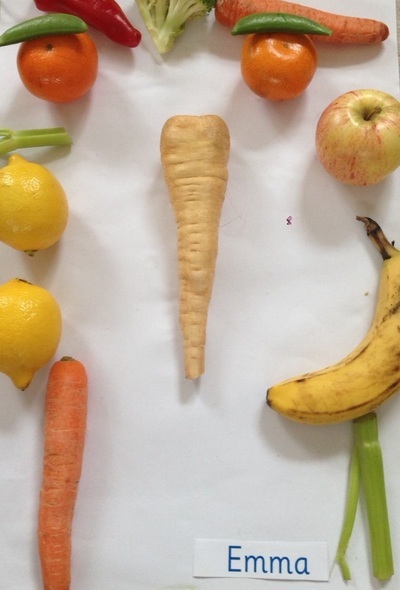 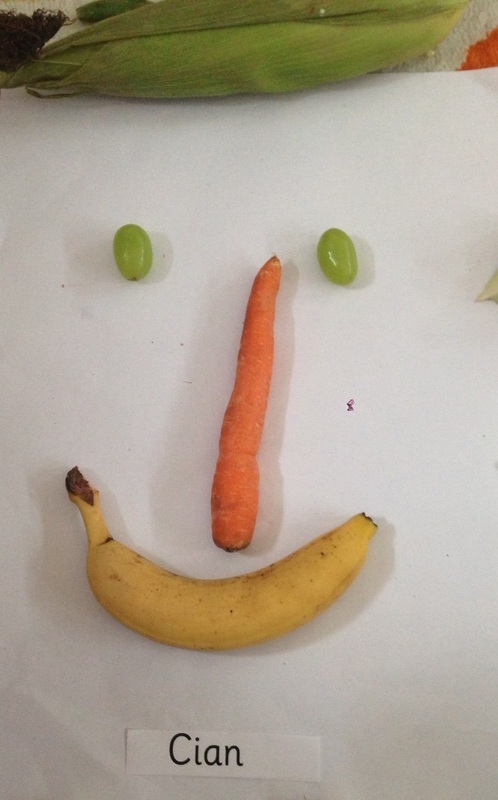 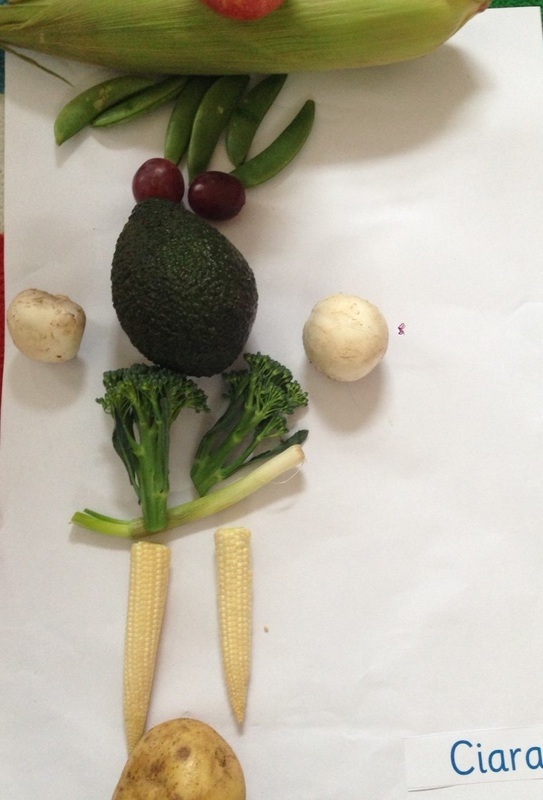 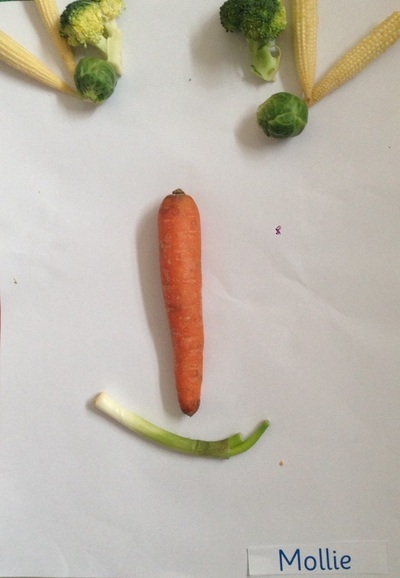 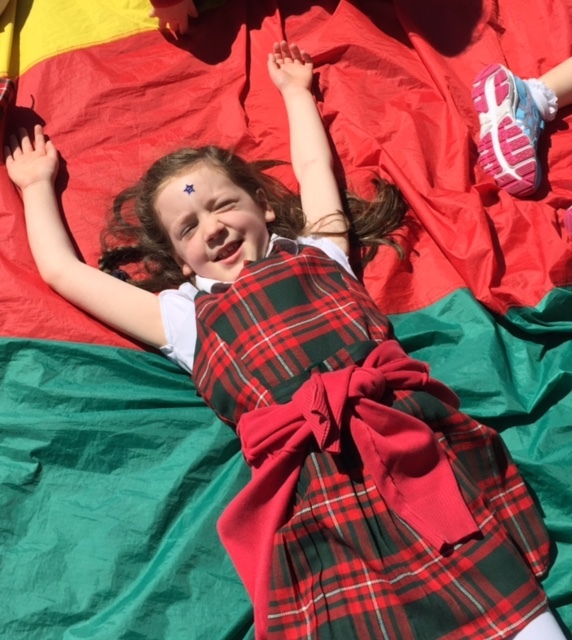 We've been hard at work learning about healthy eating and the importance of fruit & vegetables in our diet. 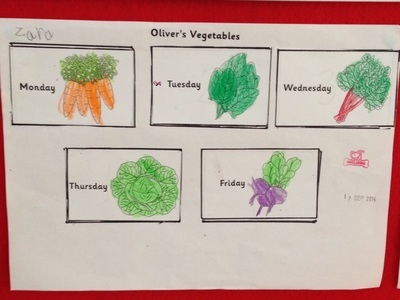 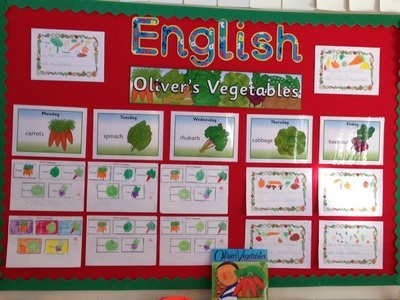 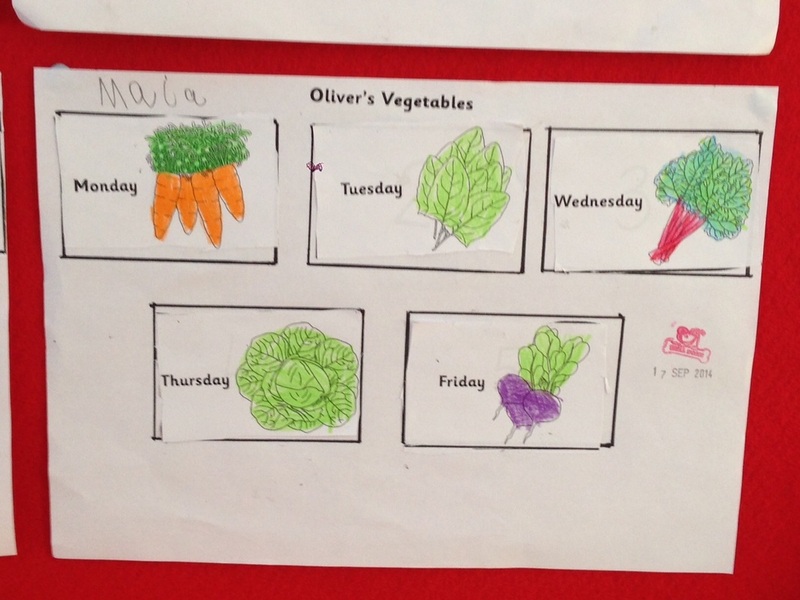 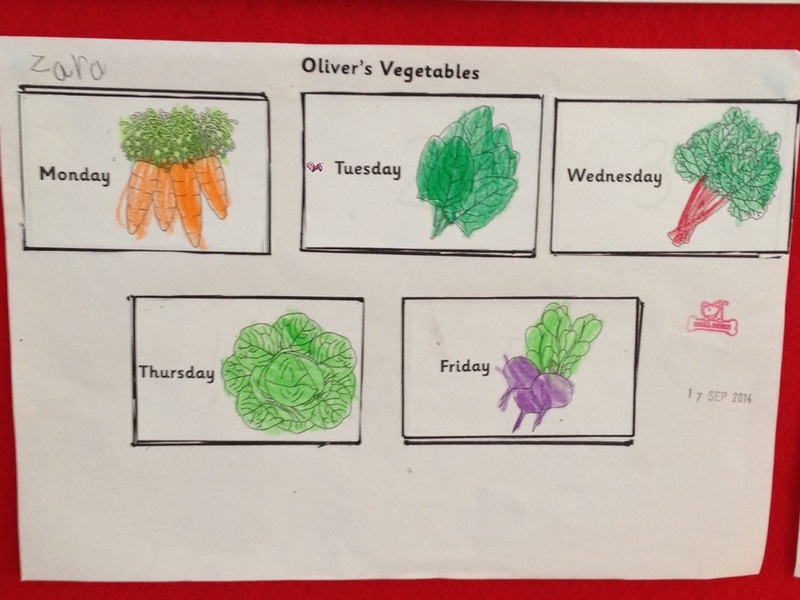 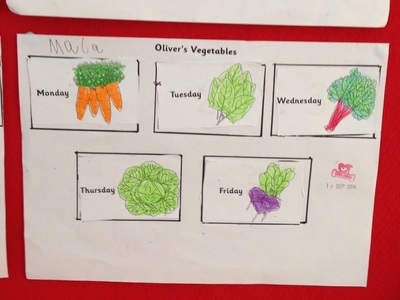 We read the story "Oliver's Vegetables" and had fun re-telling & sequencing the events in the book. 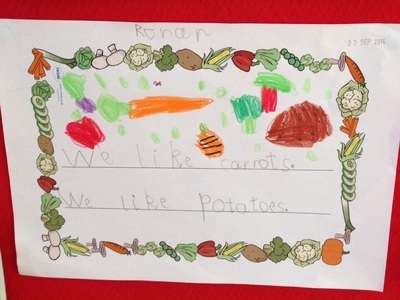 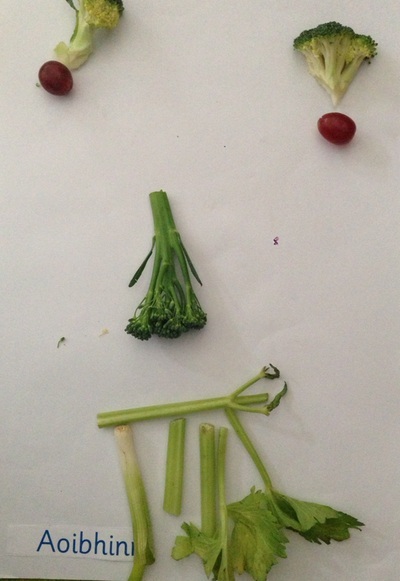 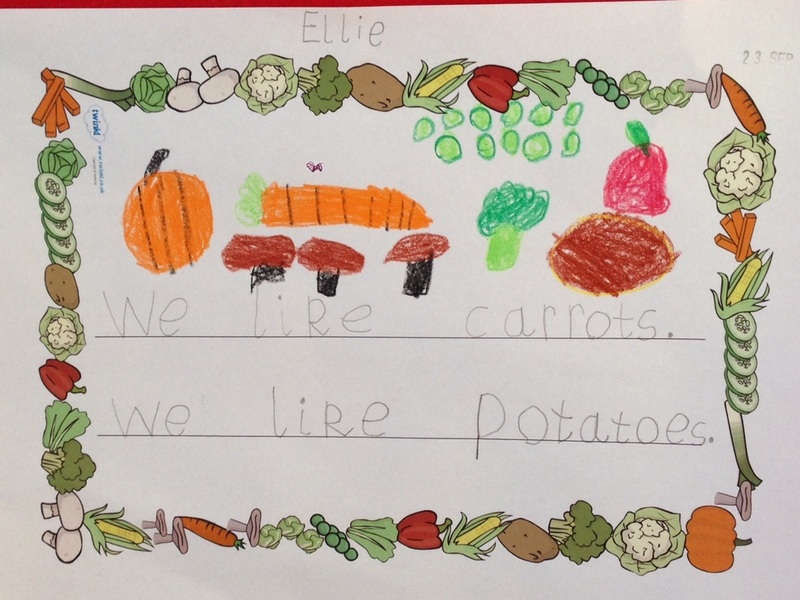 We examined The Food Pyramid & wrote sentences & drew pictures of our favourite vegetables. 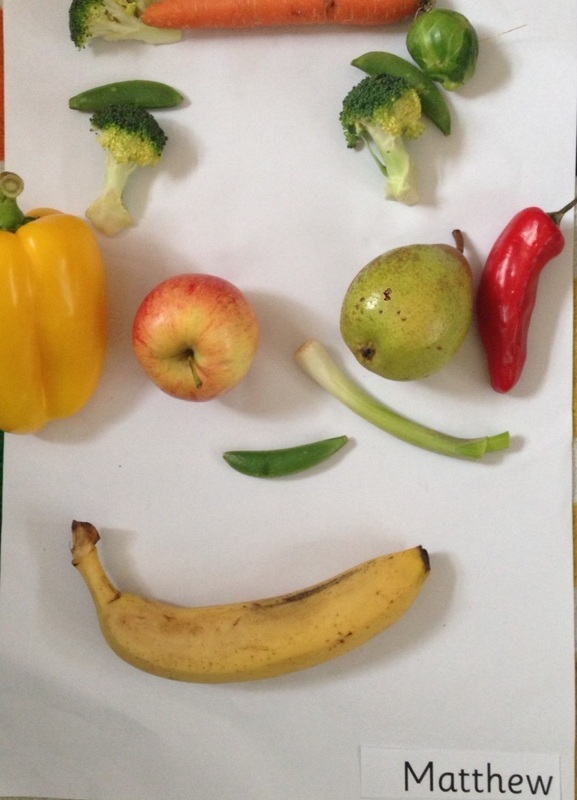 We have been admiring the work of the Italian artist Arcimboldo & his use of fruit and vegetables in his portraits. 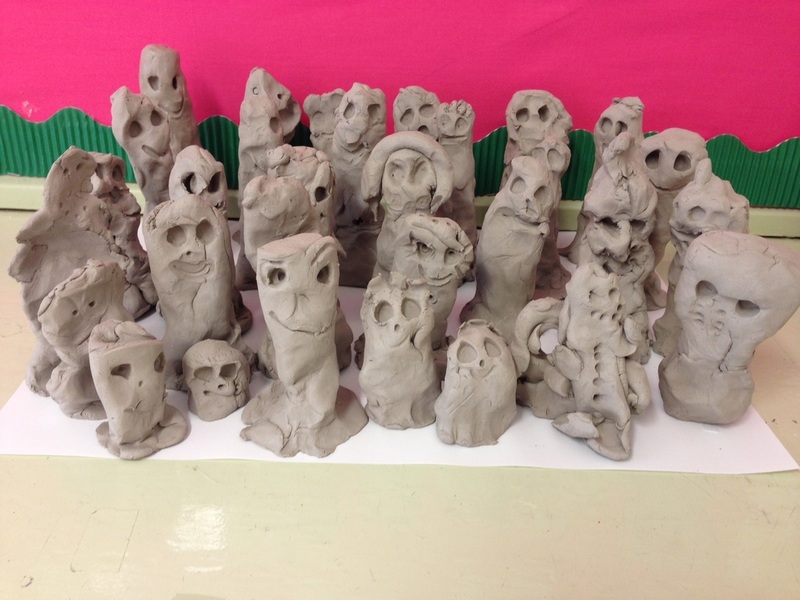 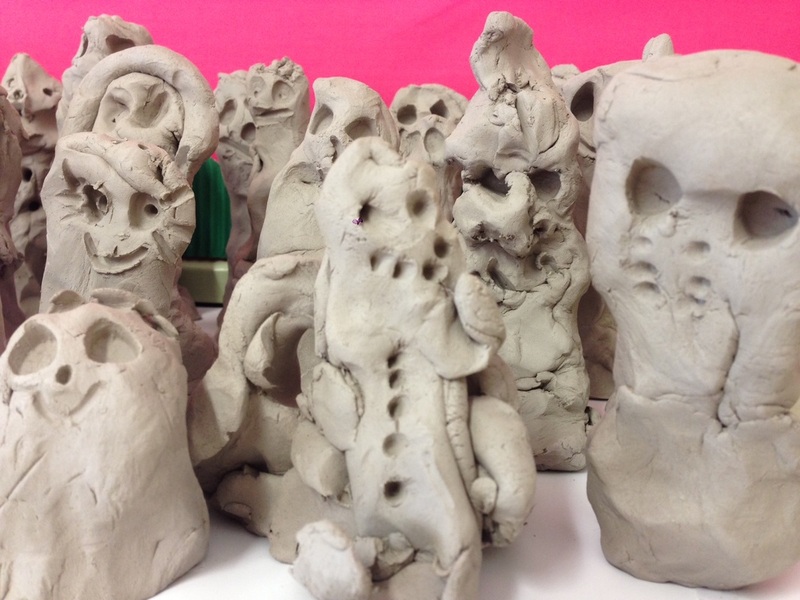 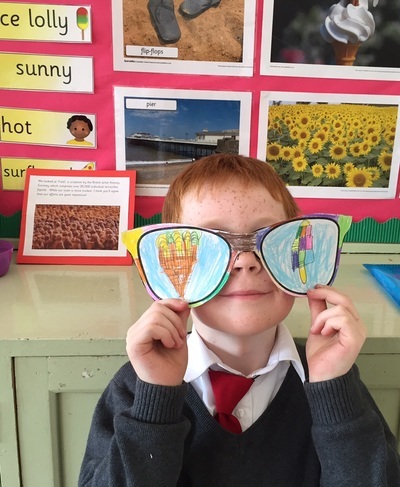 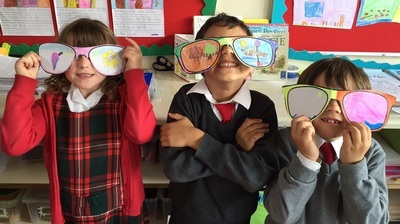 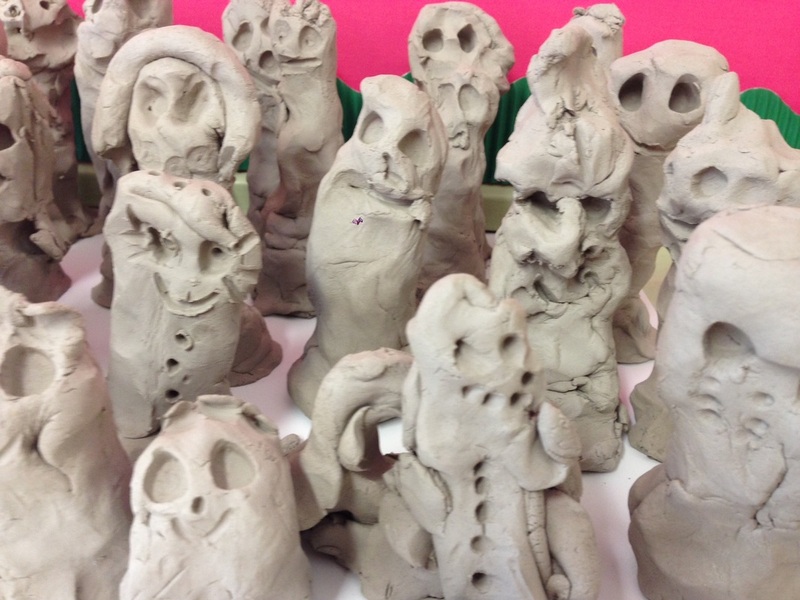 Inspired by his work, we created our own 3D portraits. We hope you enjoy our "Fruity Faces"! 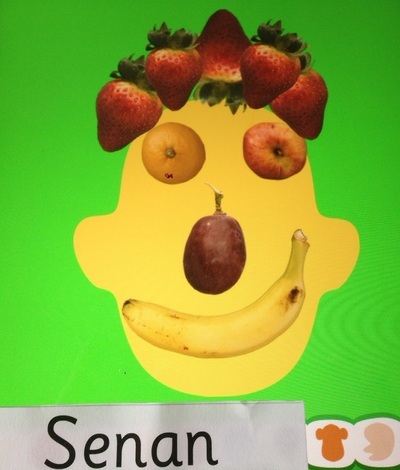 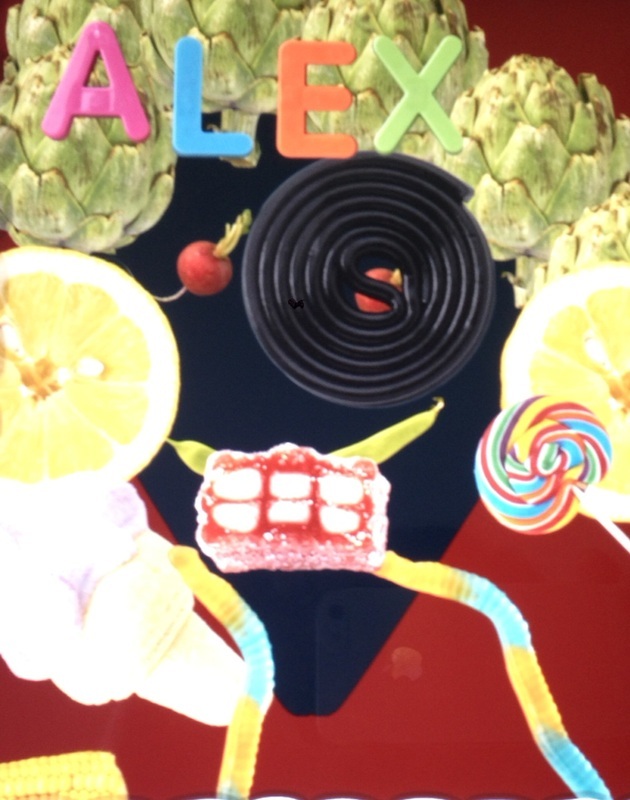 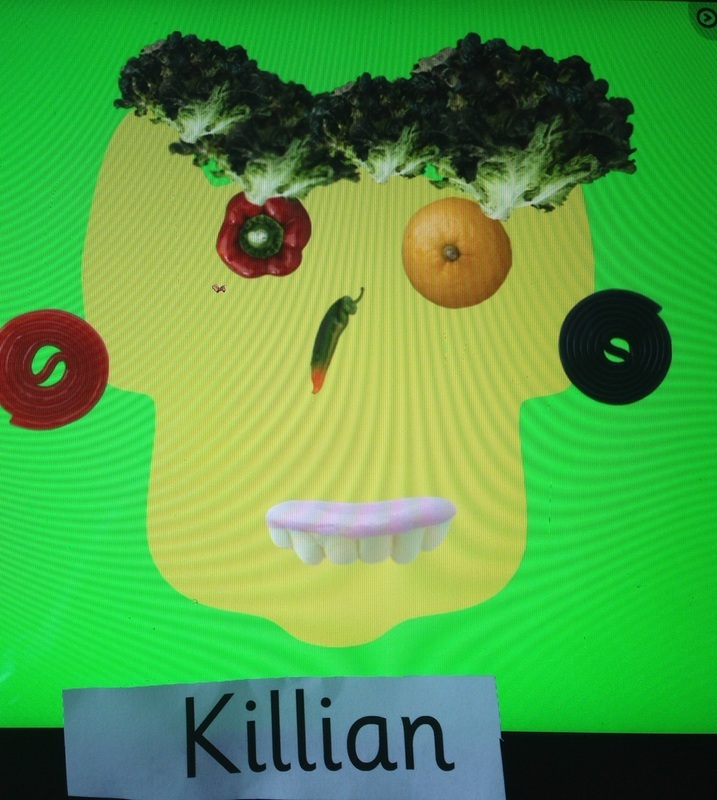 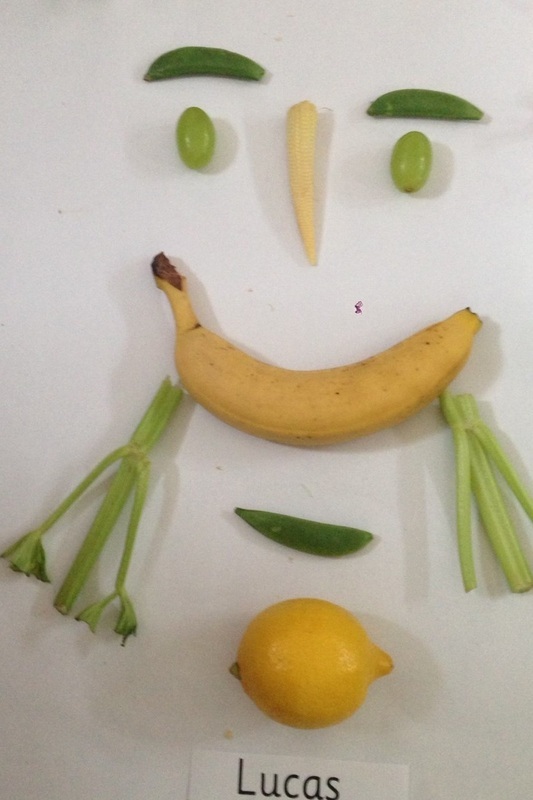 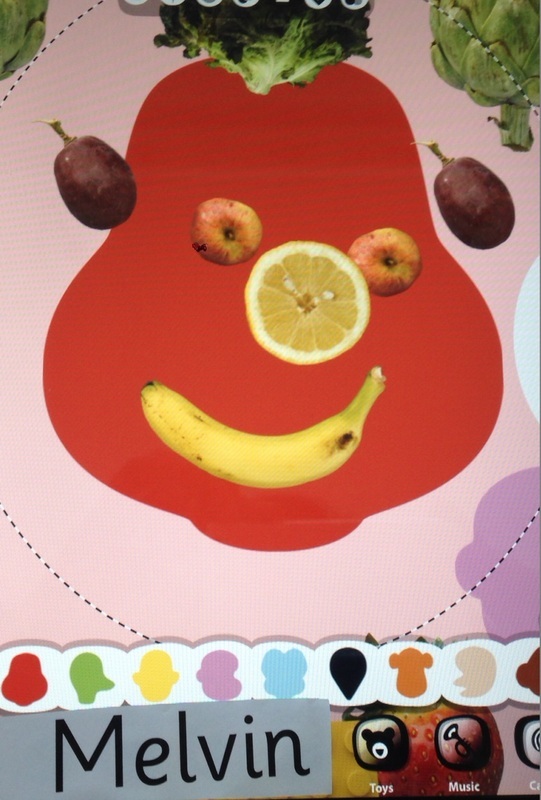 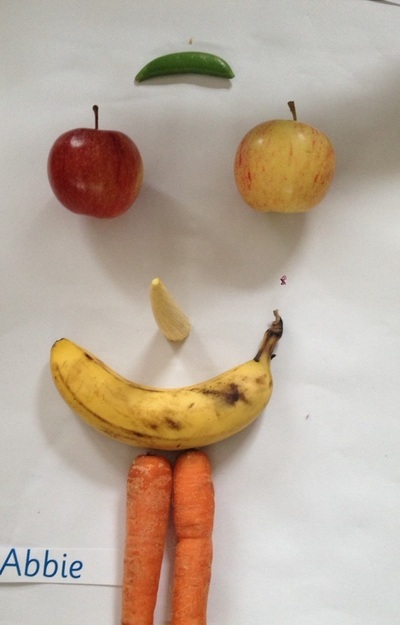 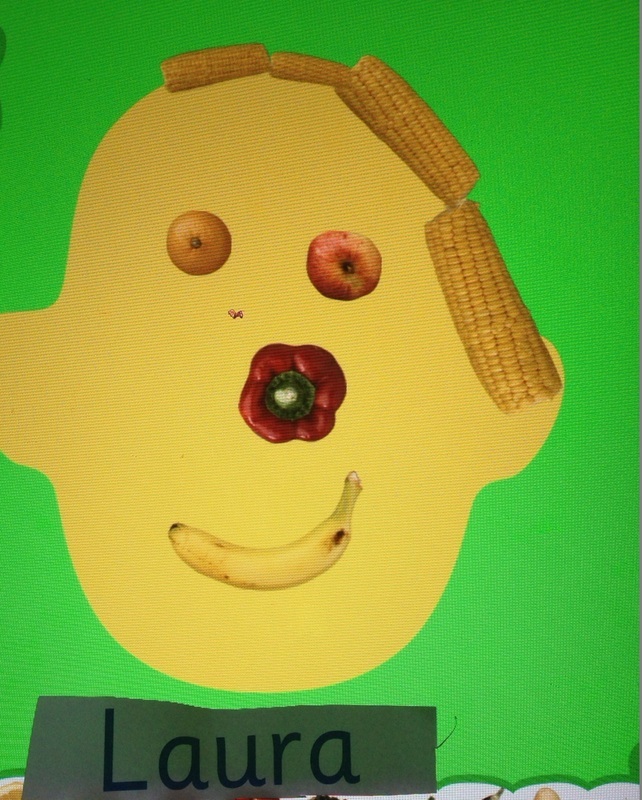 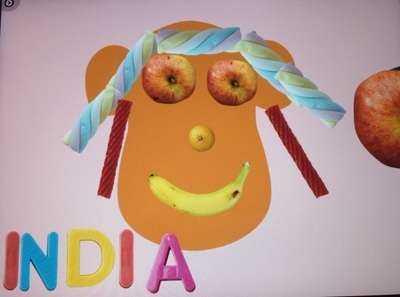 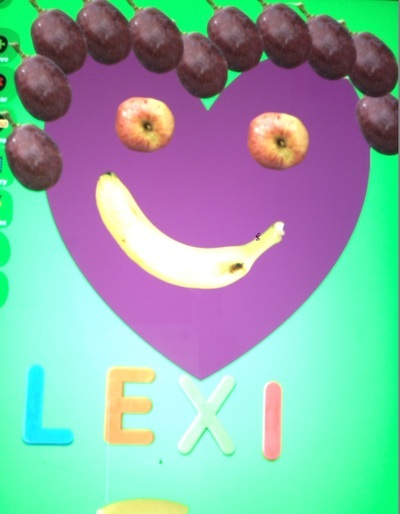 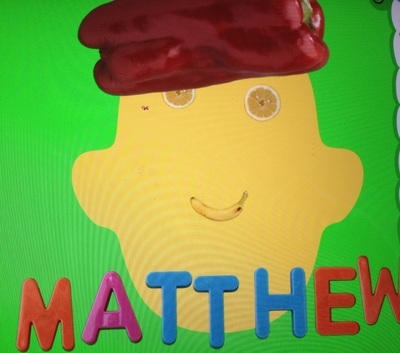 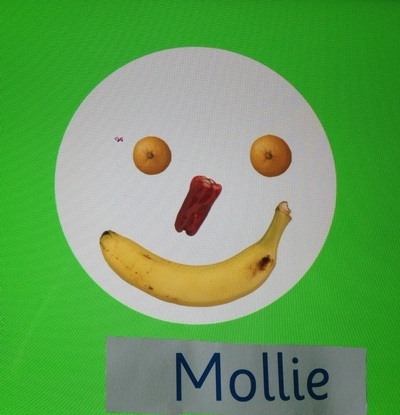 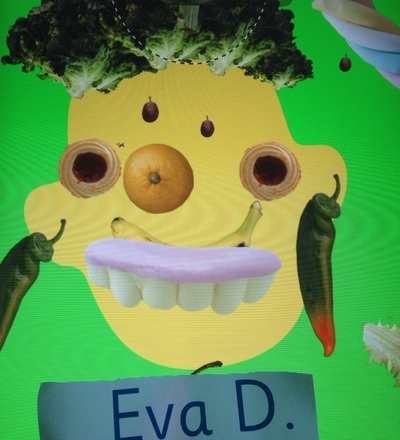 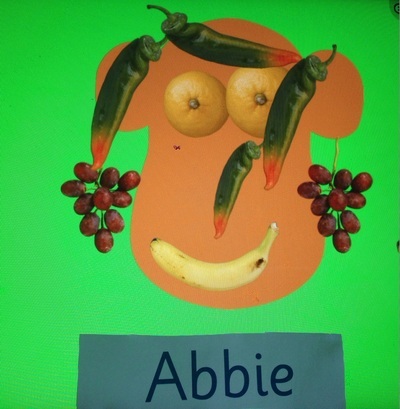 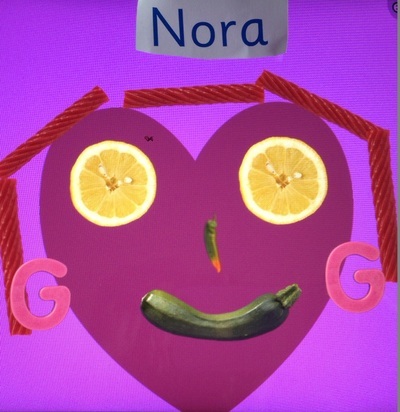 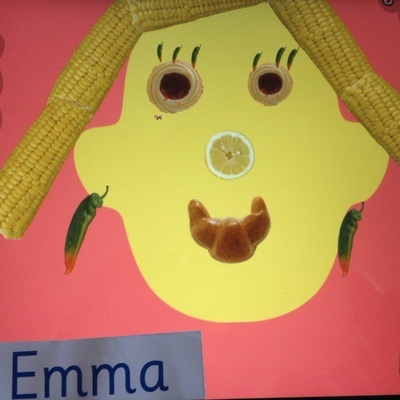 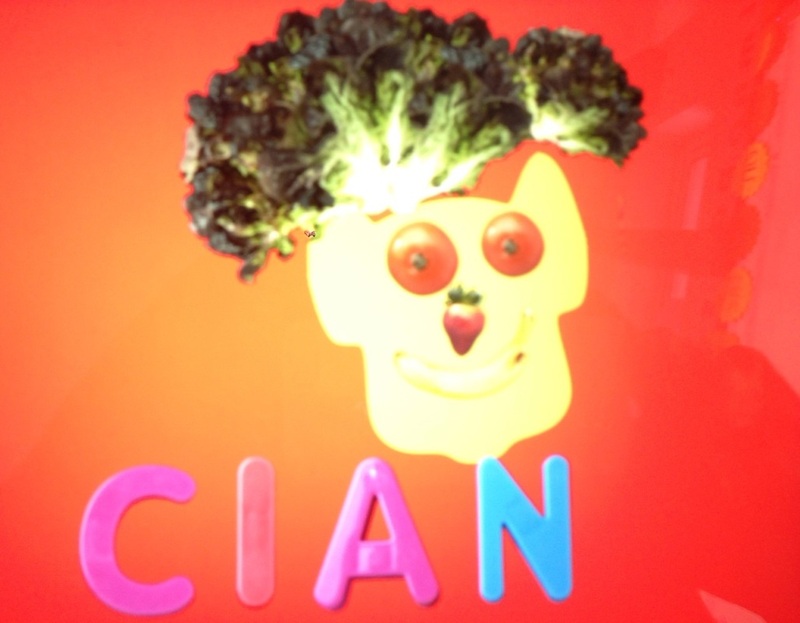 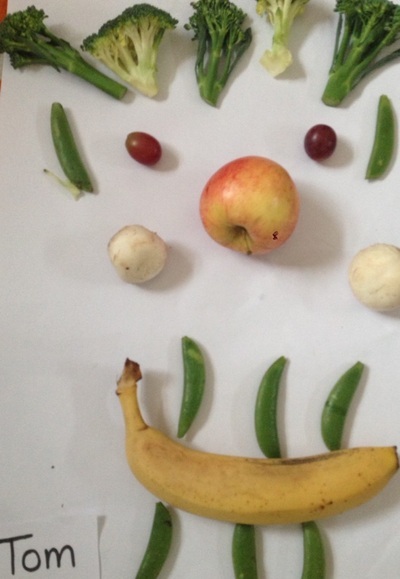 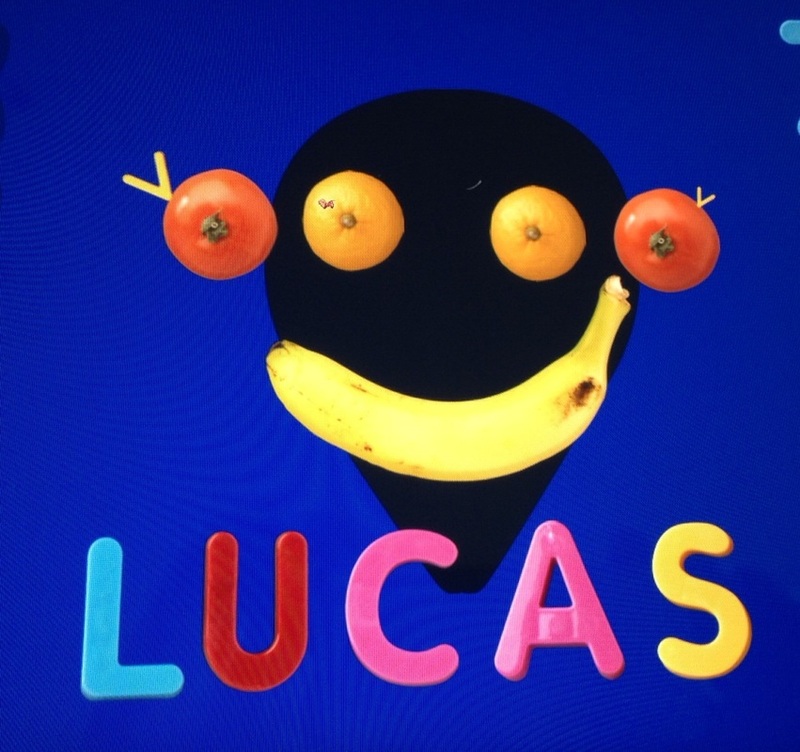 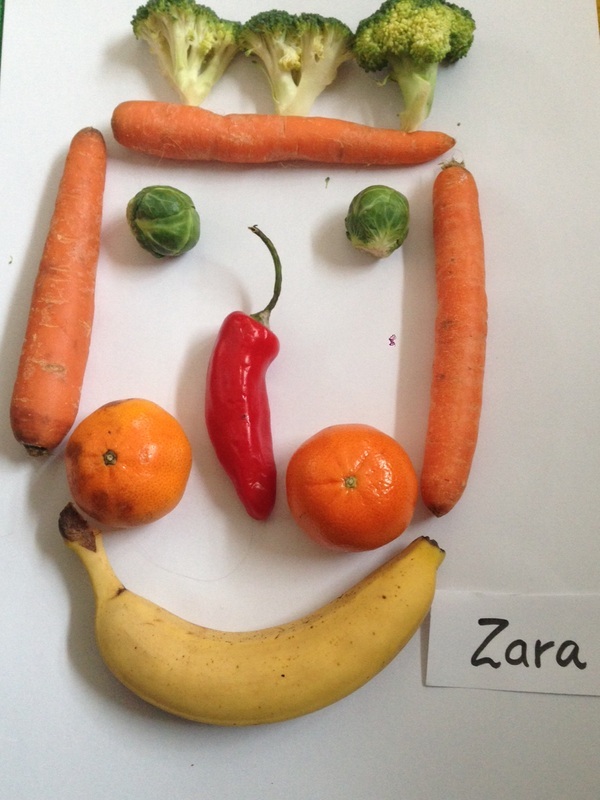 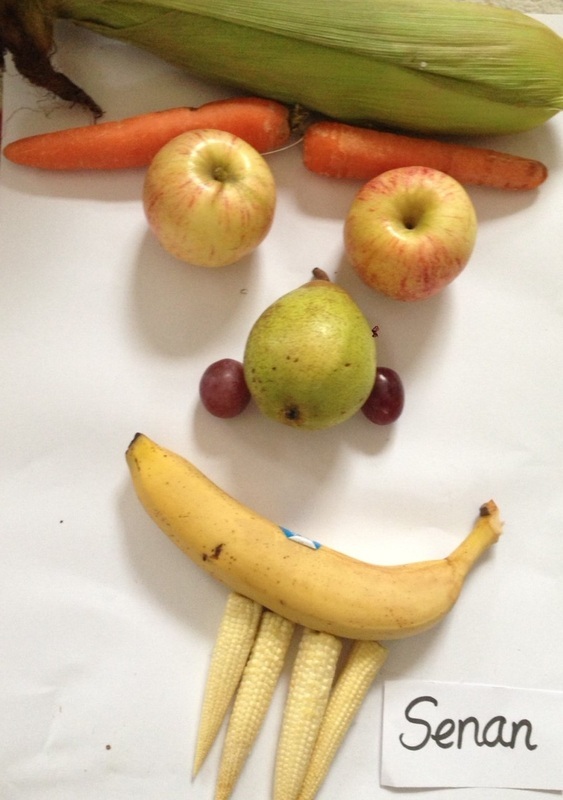 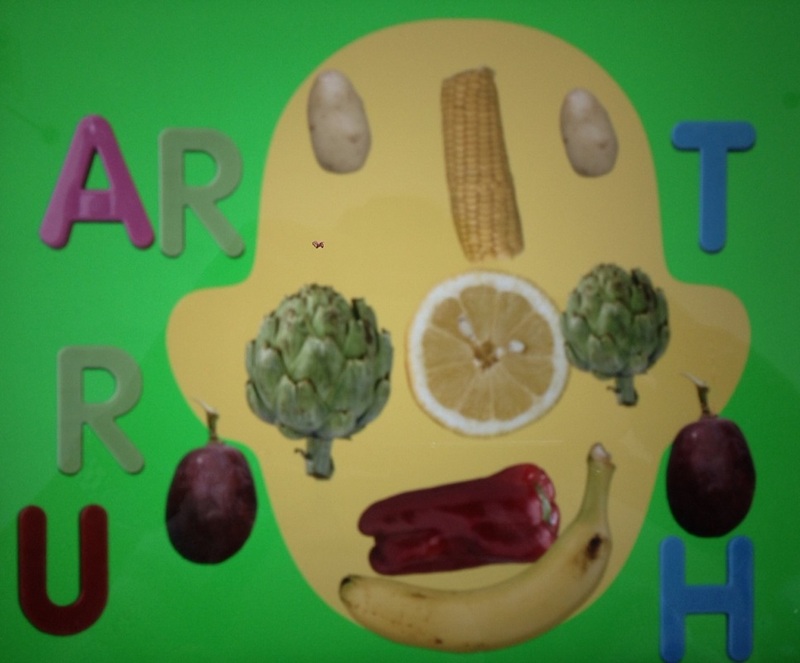 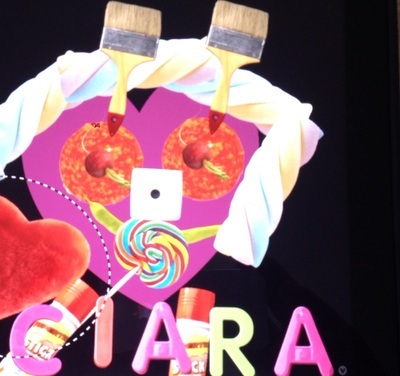 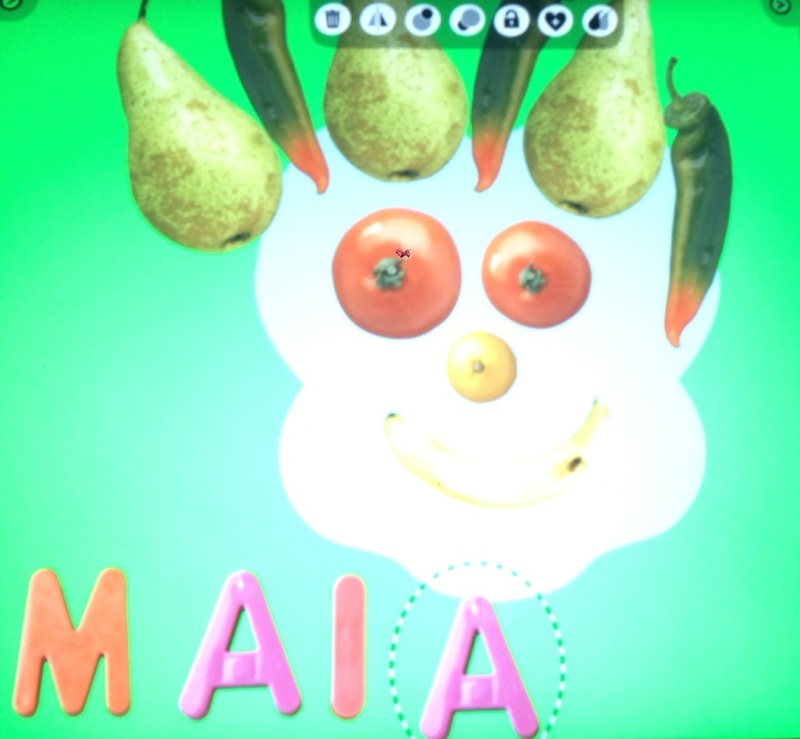 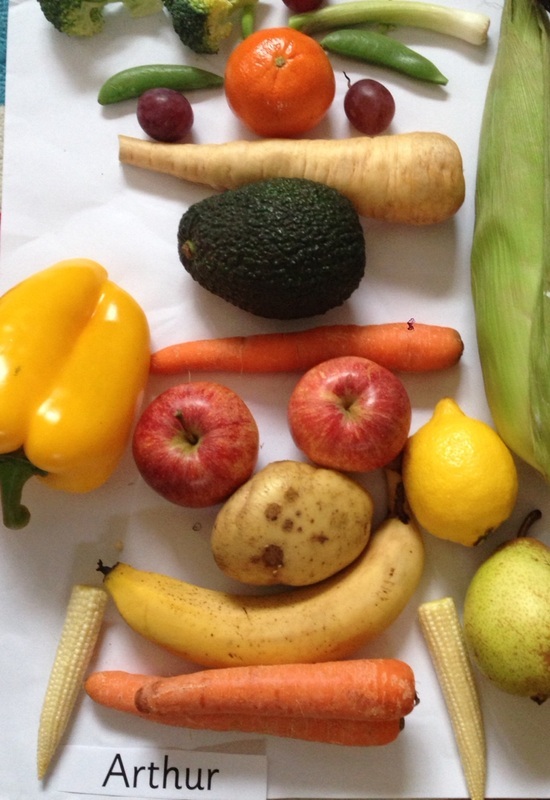 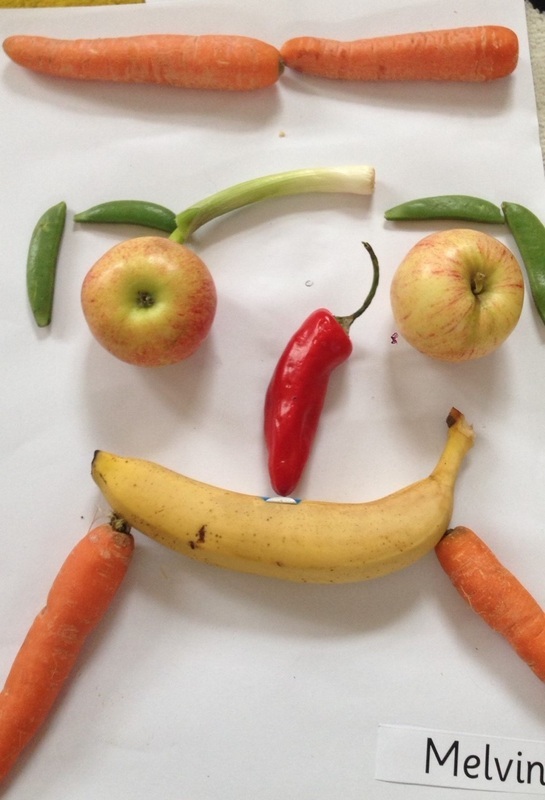 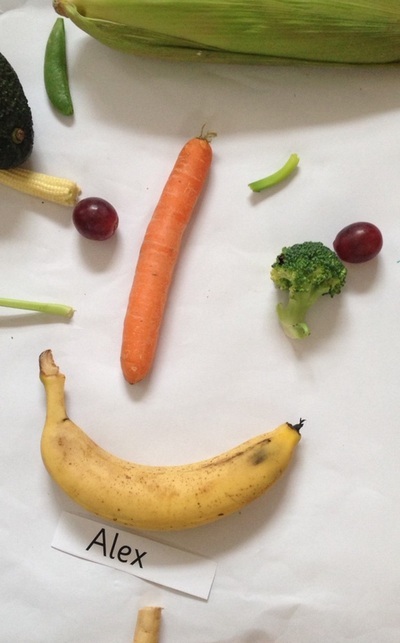 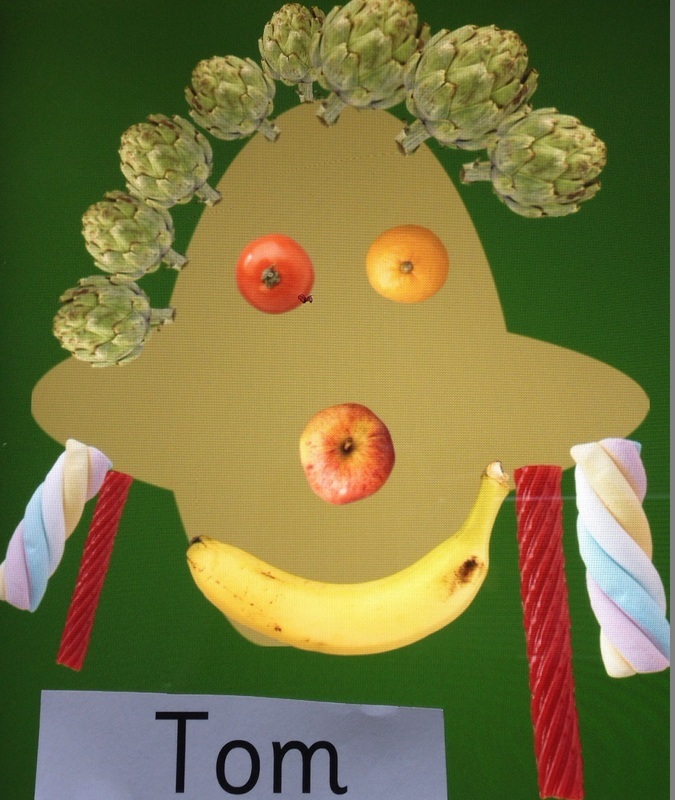 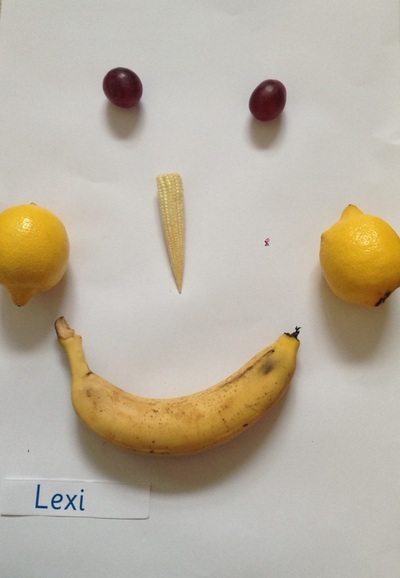 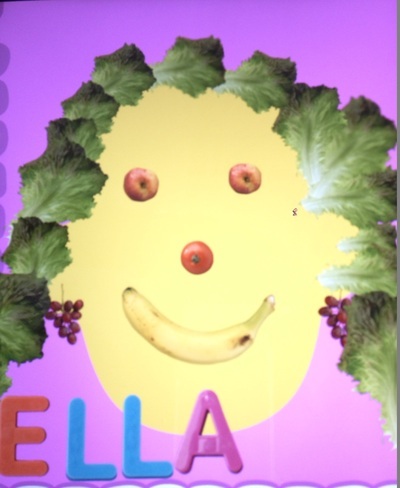 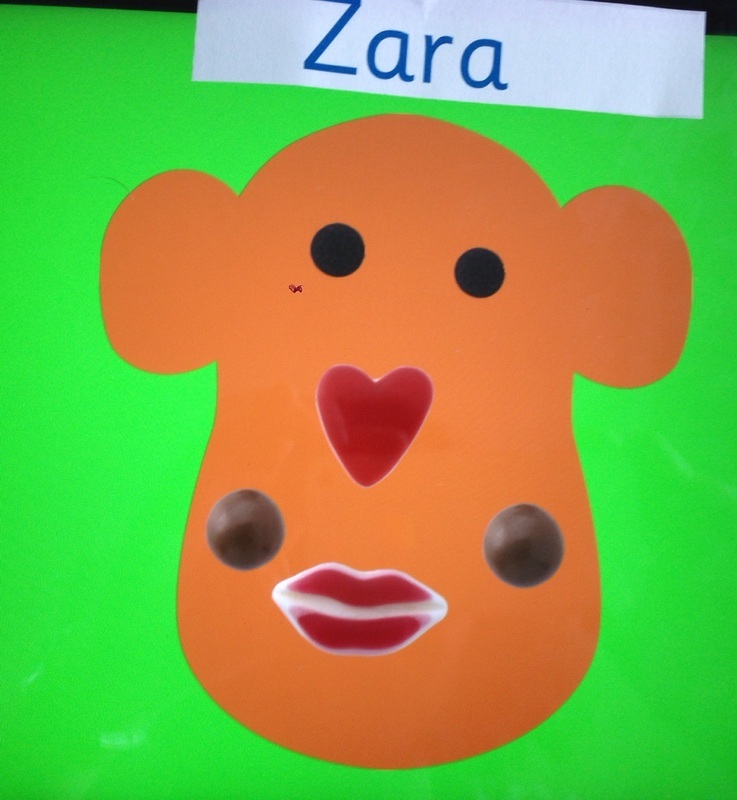 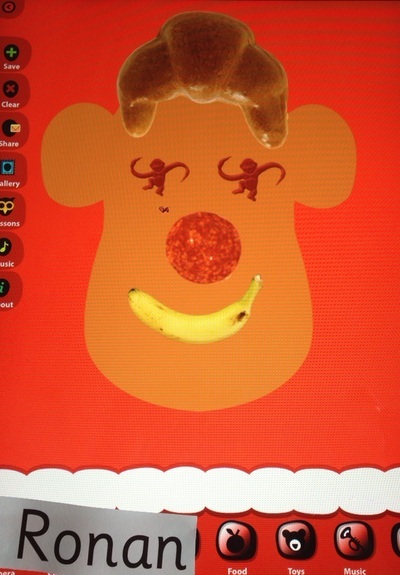 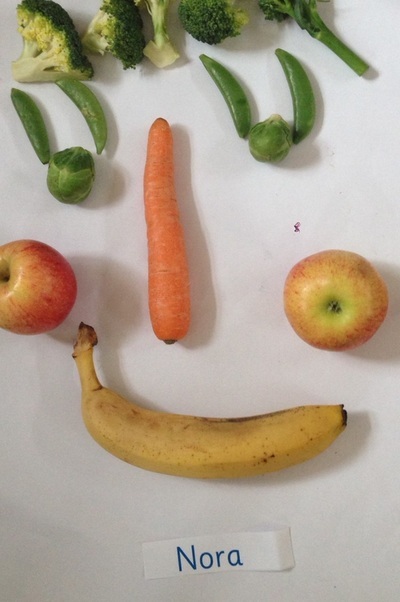 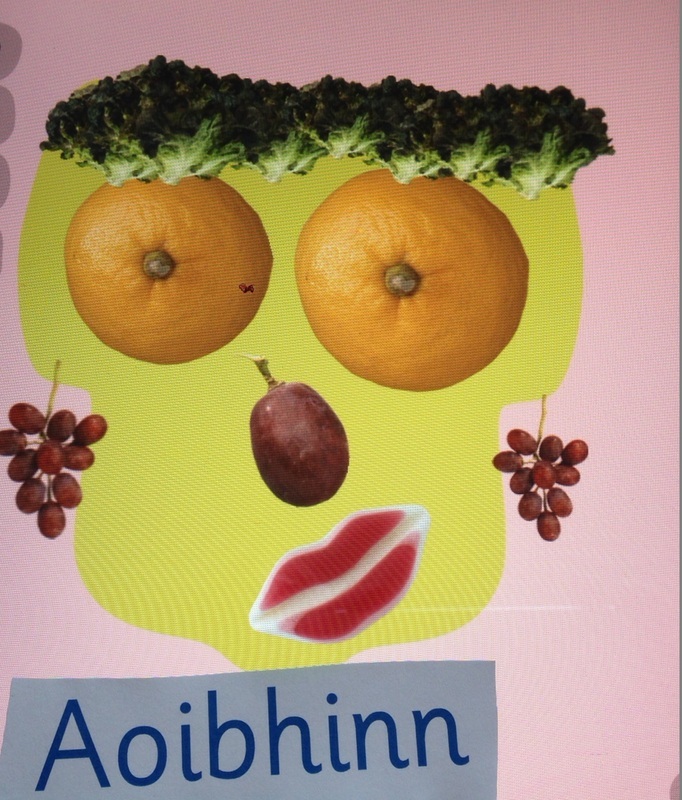 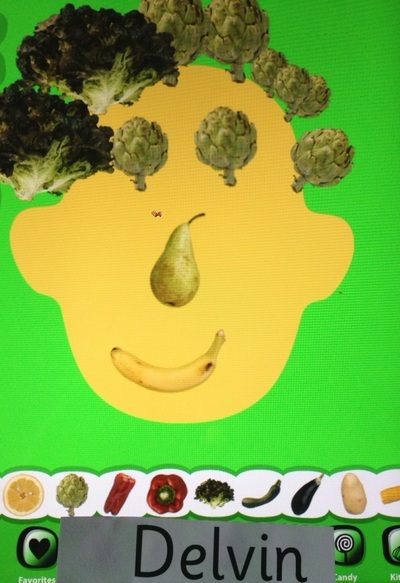 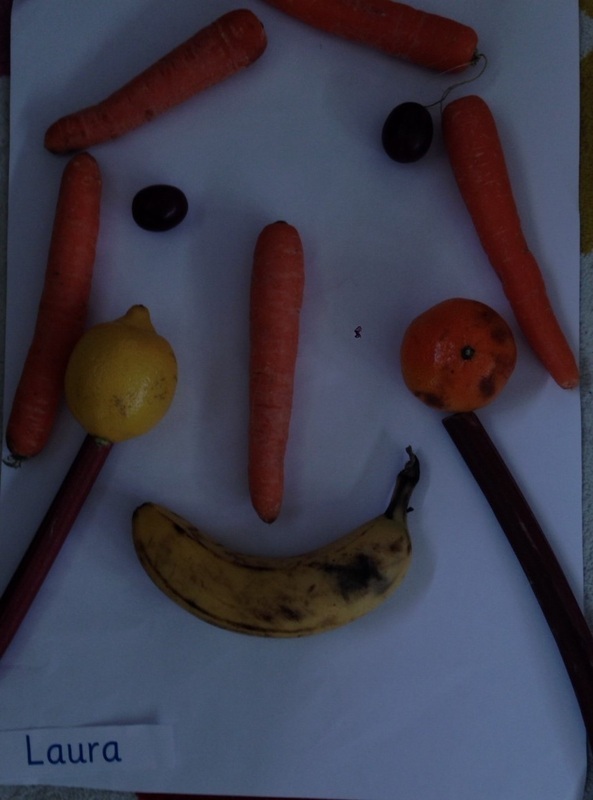 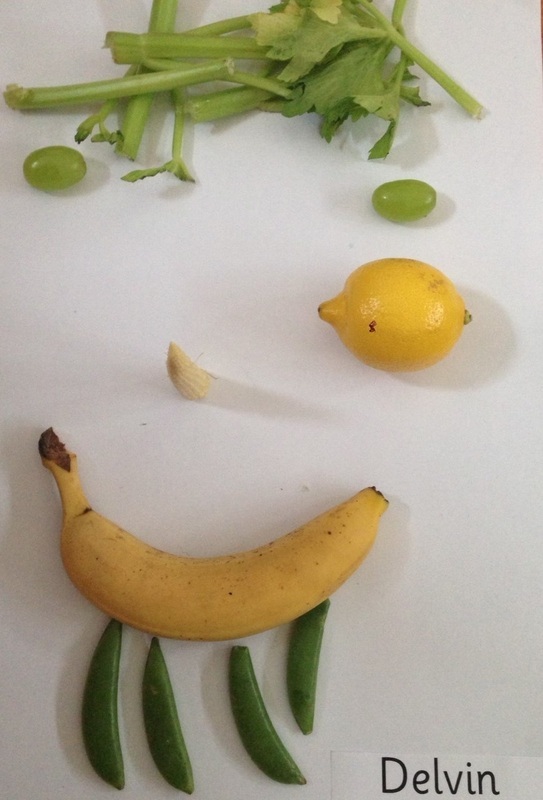 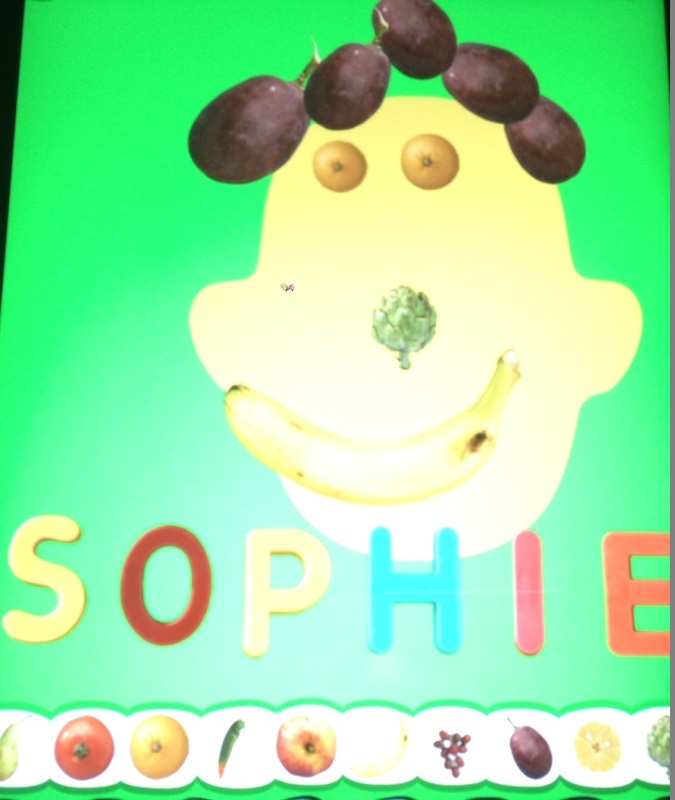 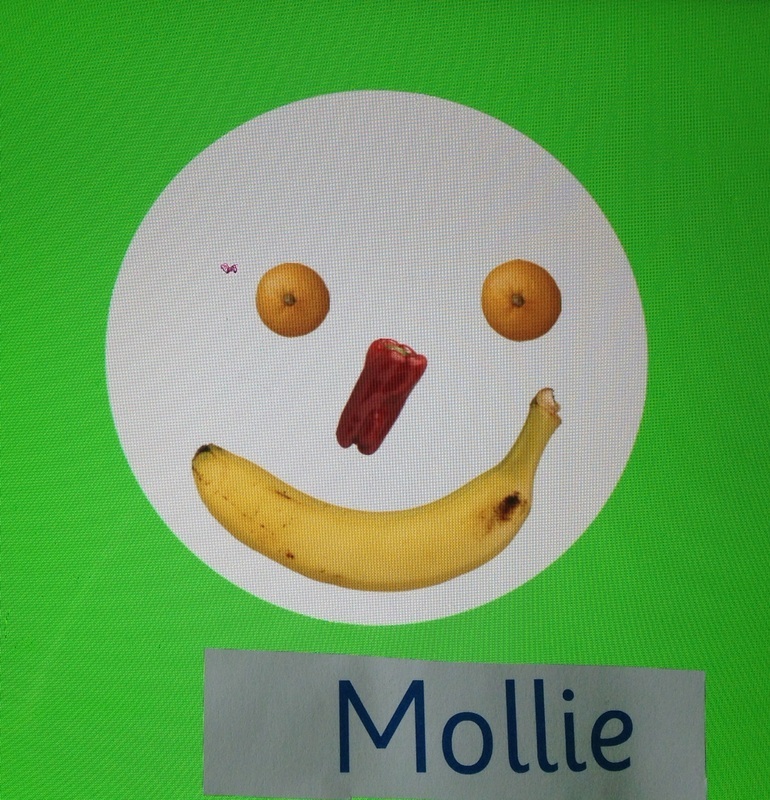 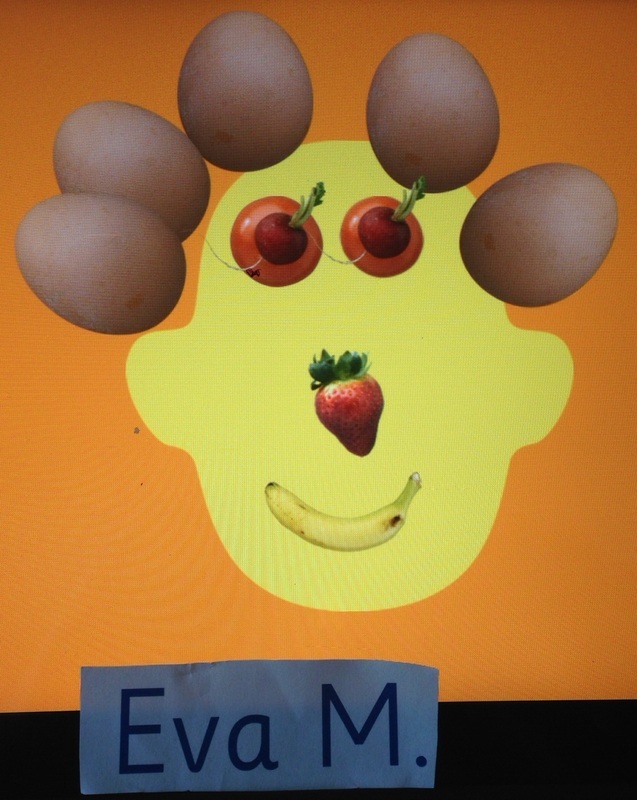 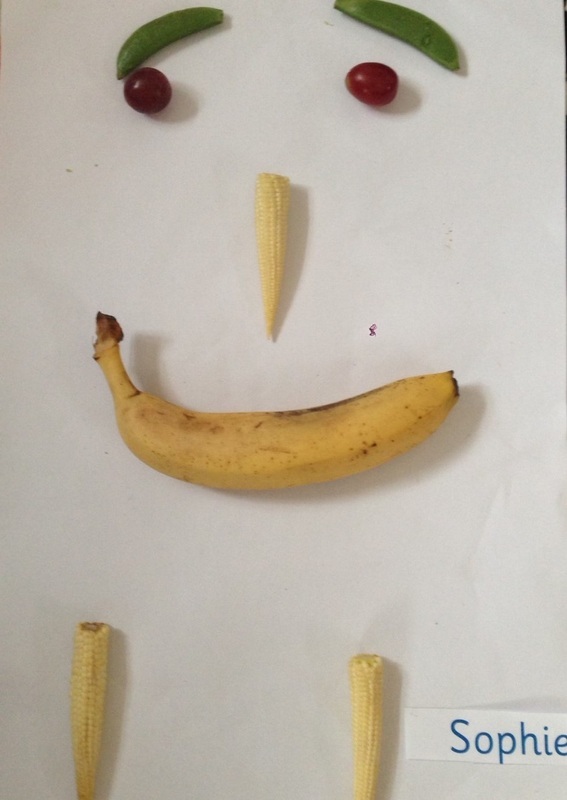 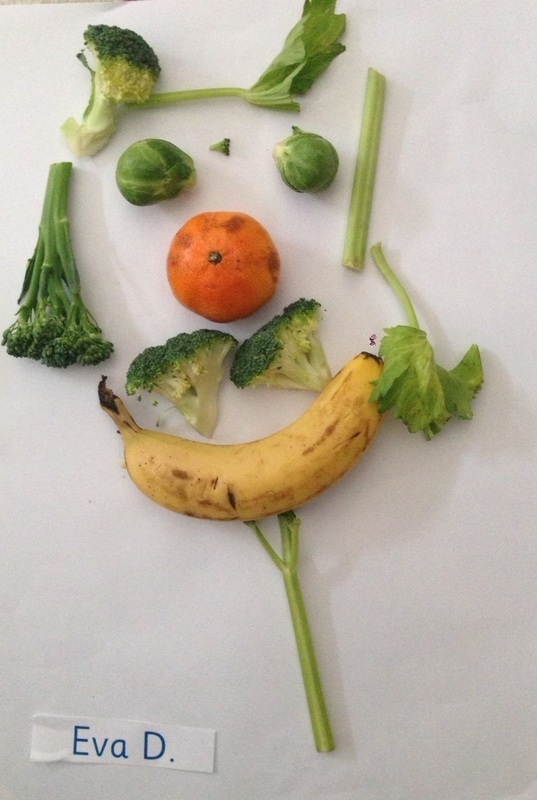 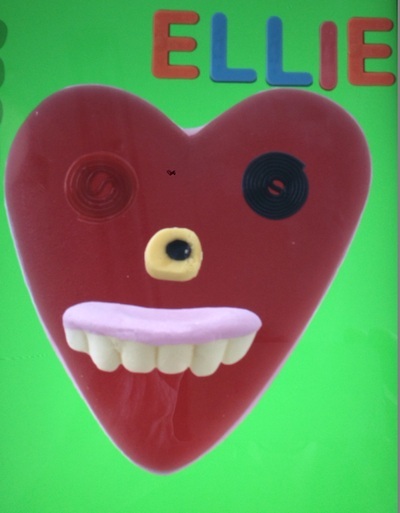 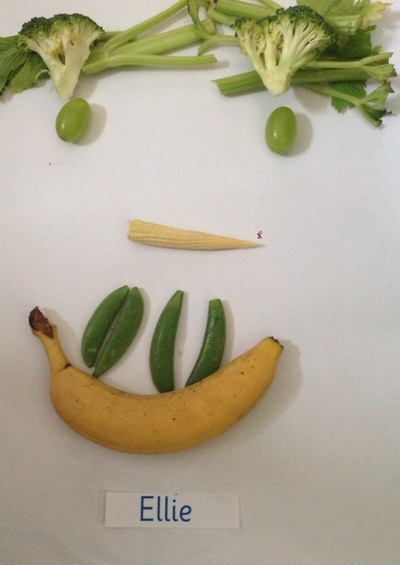 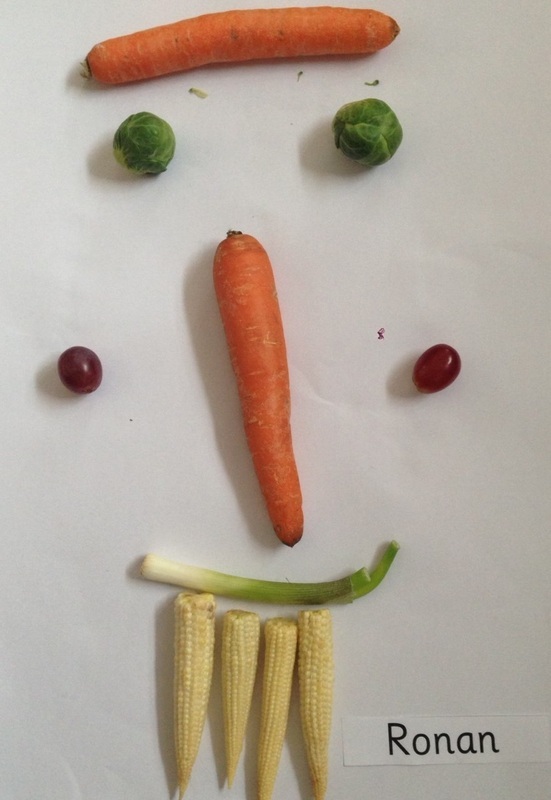 We used an app called Faces iCreate to make digital "fruity" portraits. We really enjoyed the process. 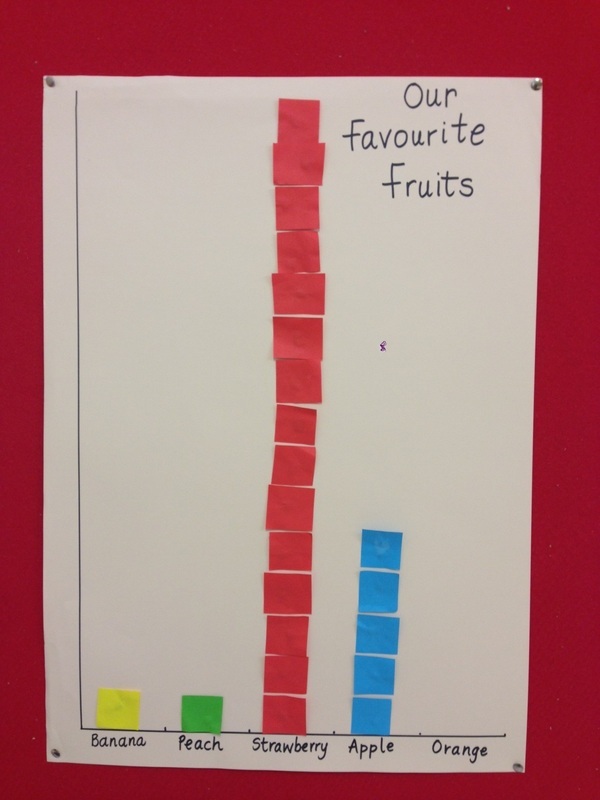 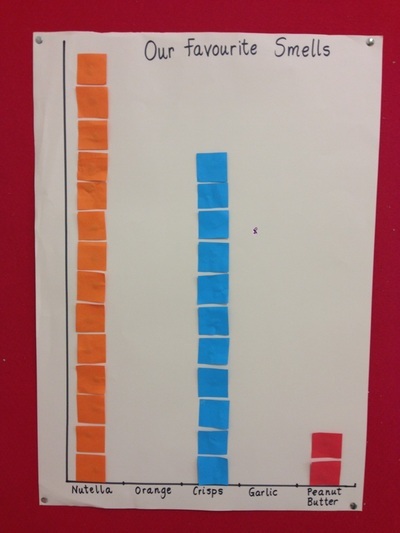 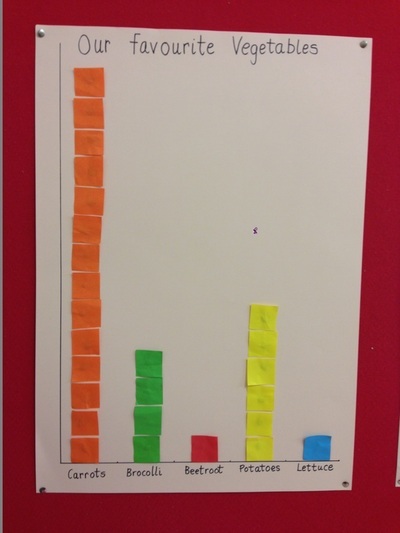 We have been learning about data collection & made some bar charts together. We discovered that our favourite fruit is strawberries, our favourite vegetable is carrots and our favourite smell is nutella!